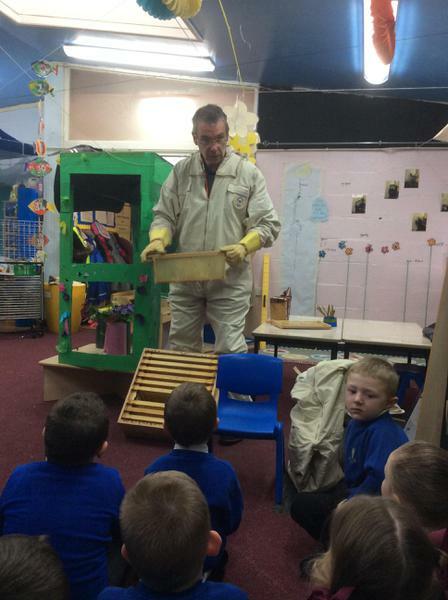 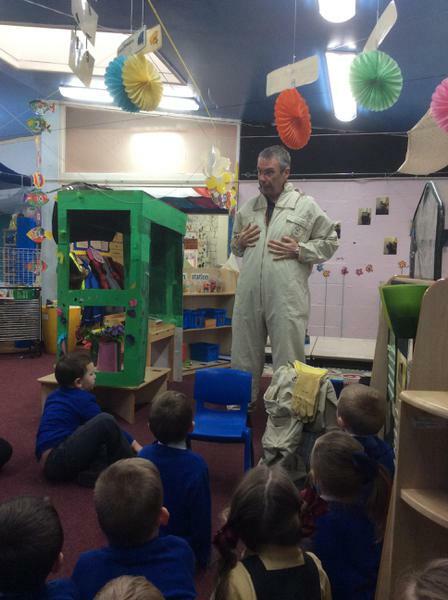 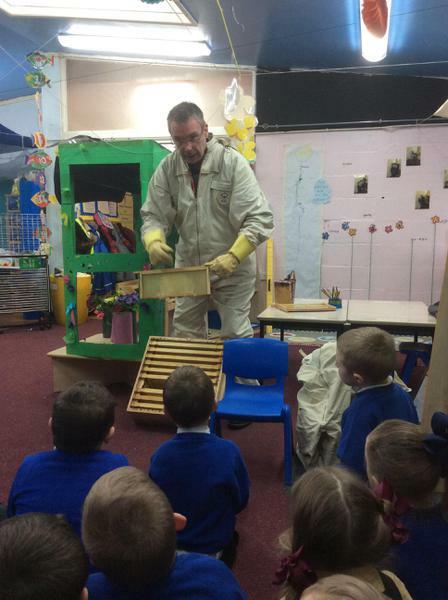 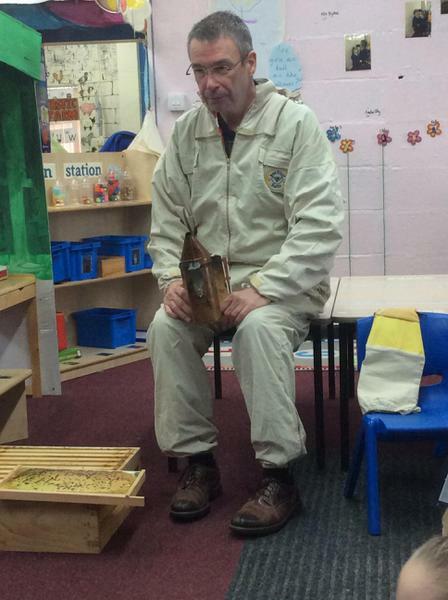 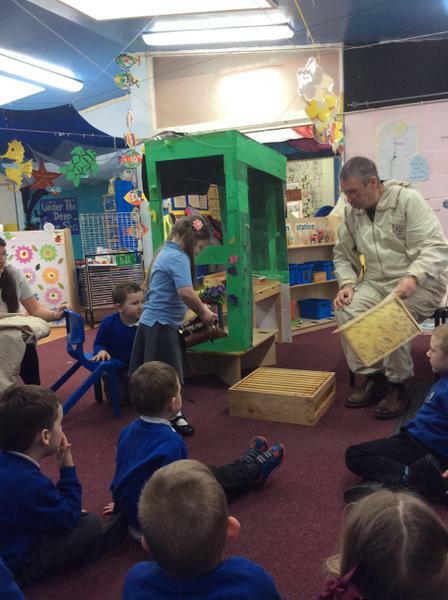 We had a visit from our lovely bee keeper friend Cliff who showed us all his bee keeping equipment and let us see what a real life hive looks like. 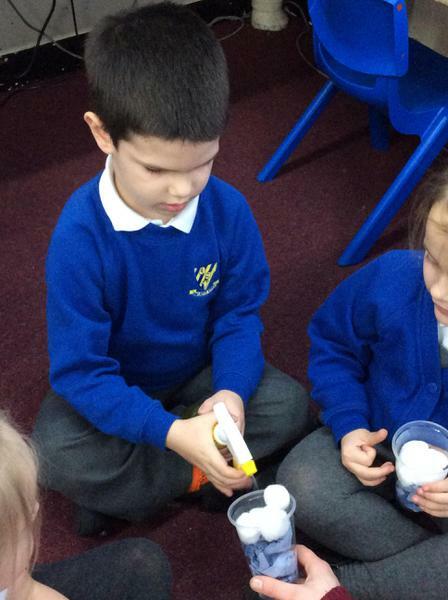 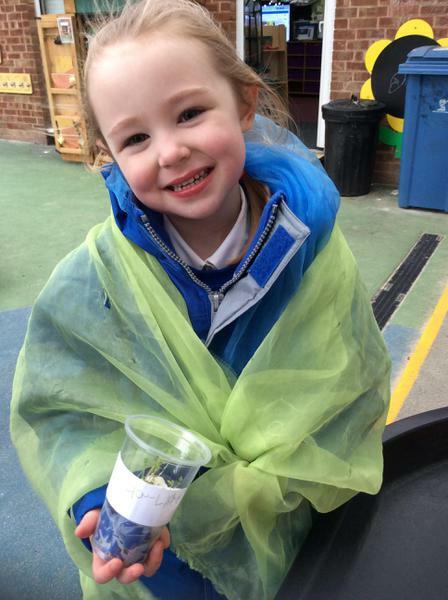 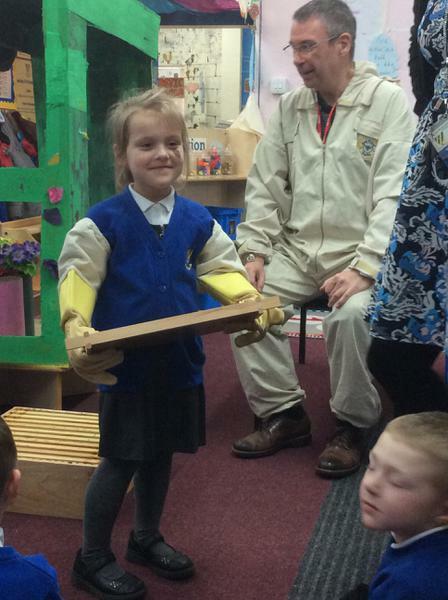 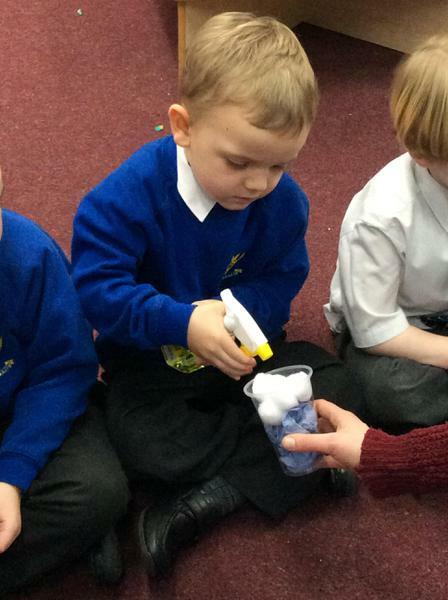 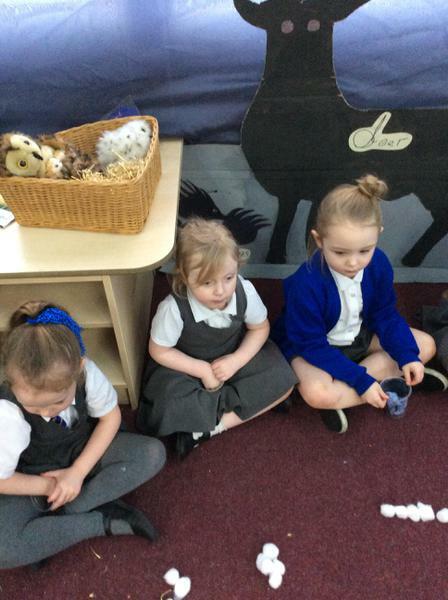 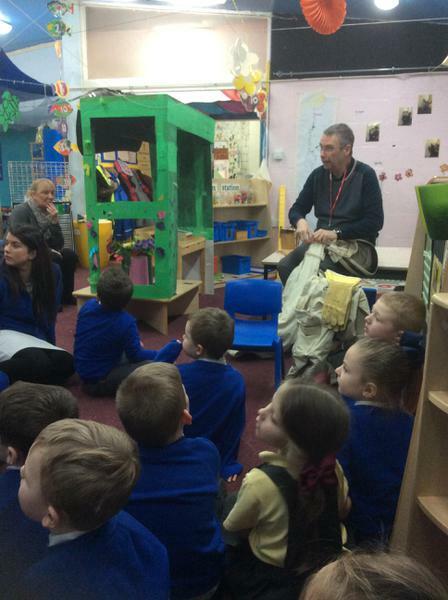 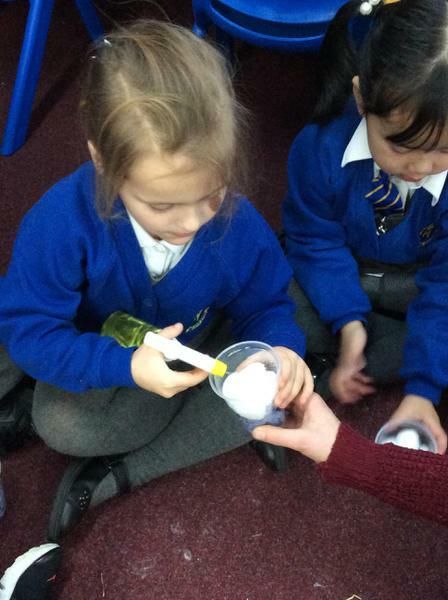 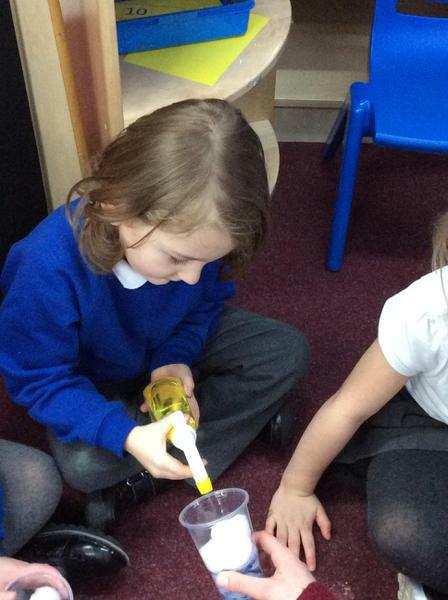 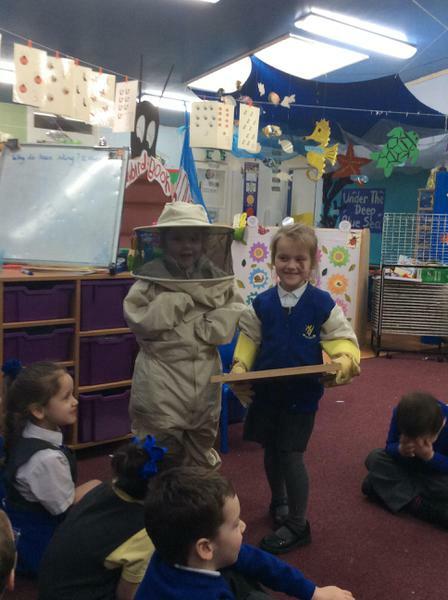 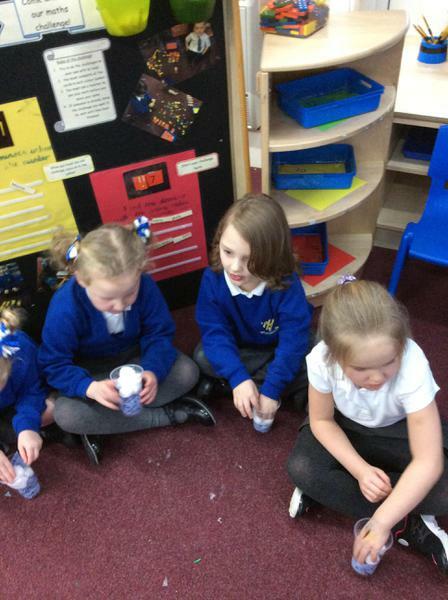 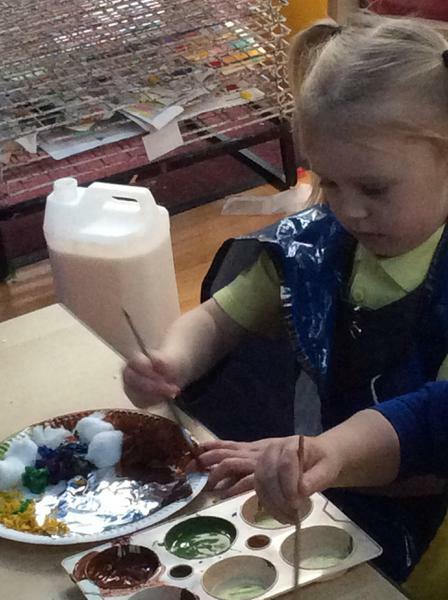 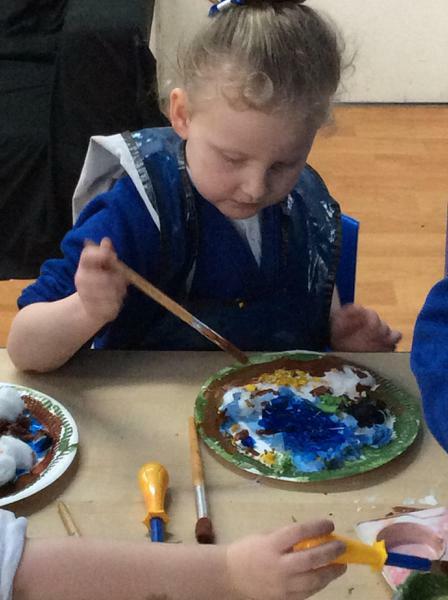 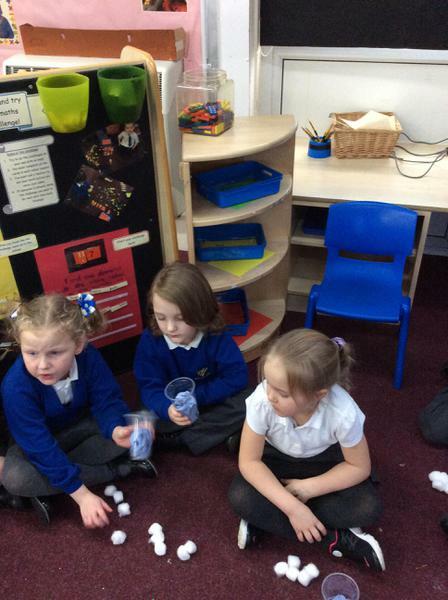 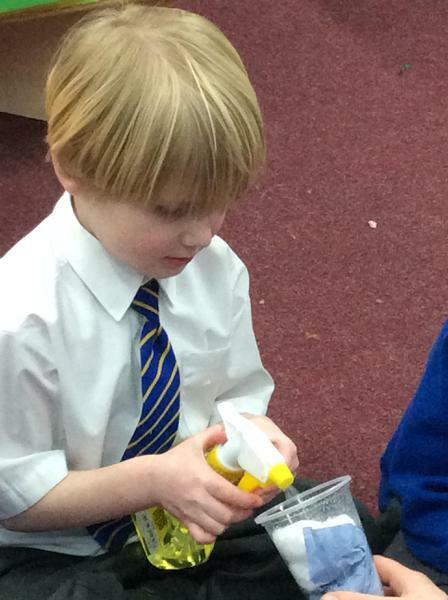 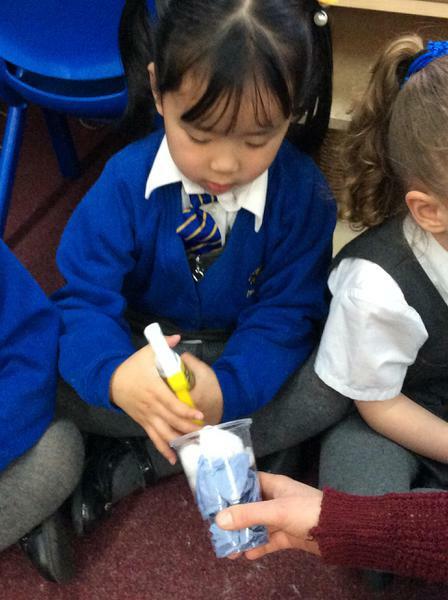 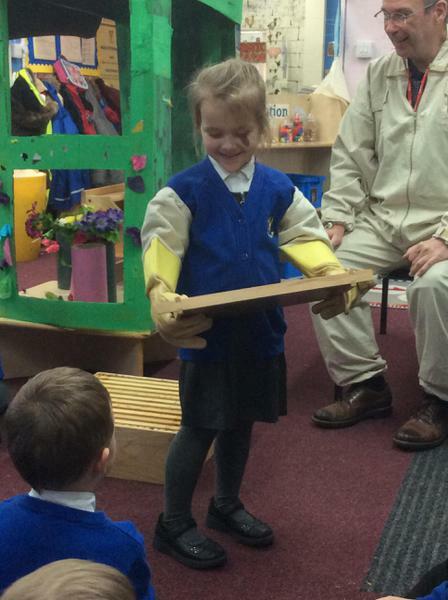 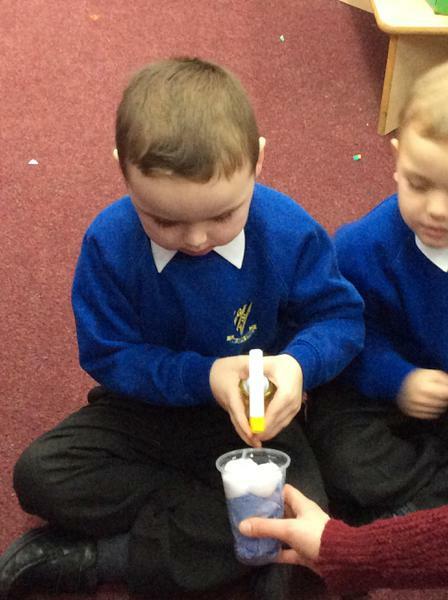 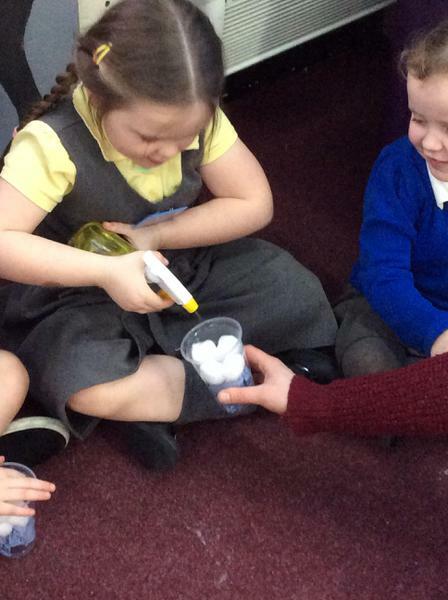 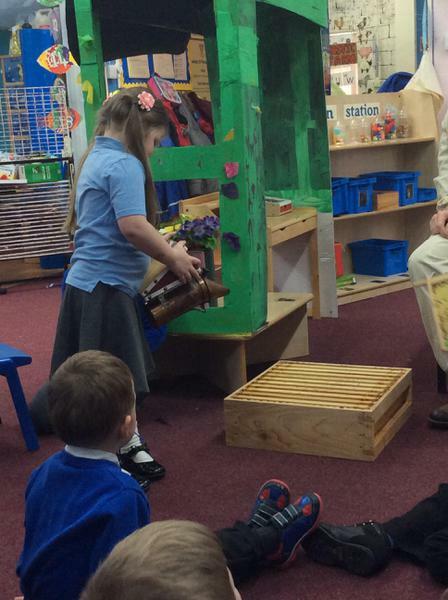 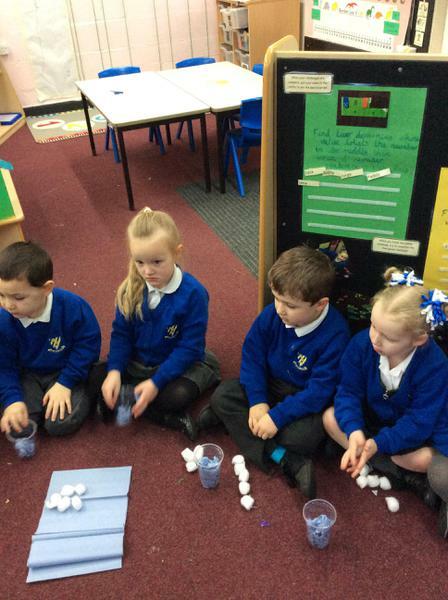 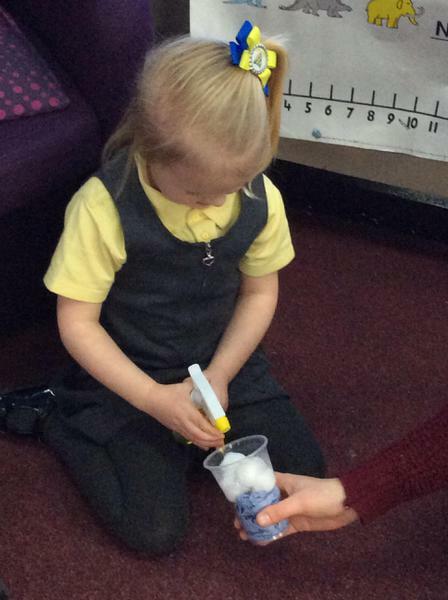 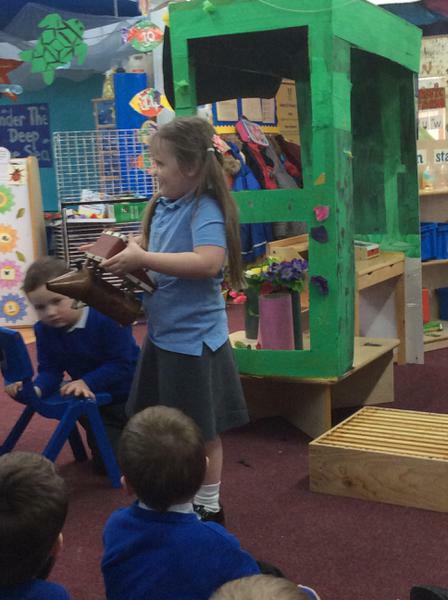 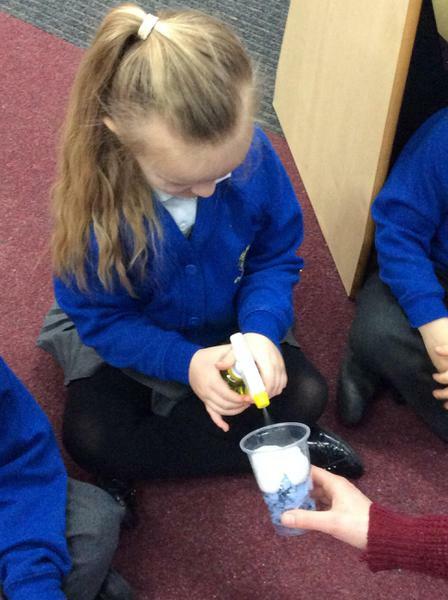 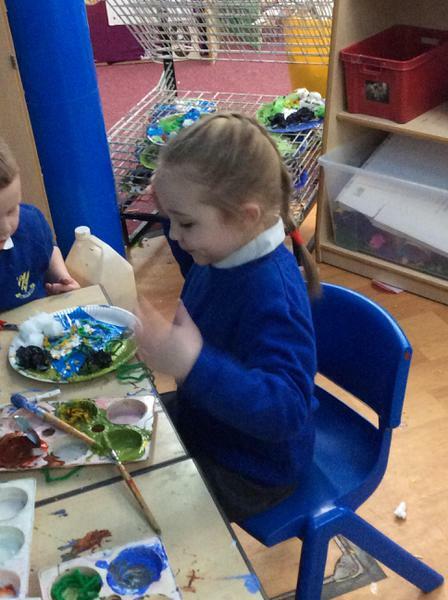 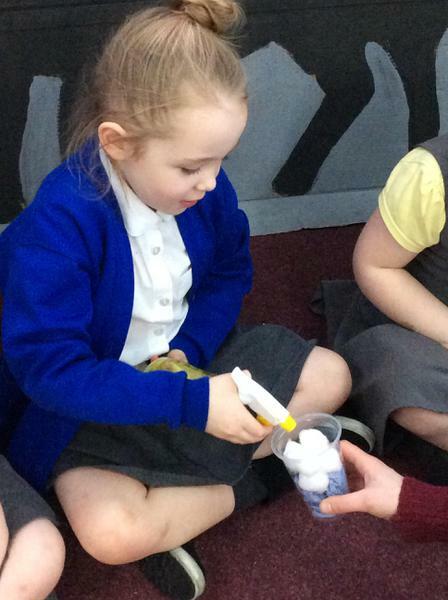 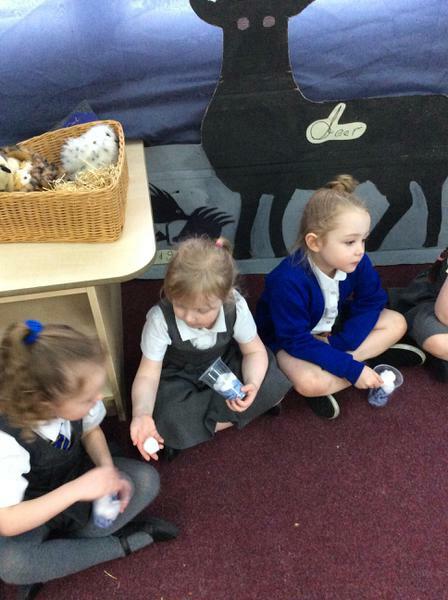 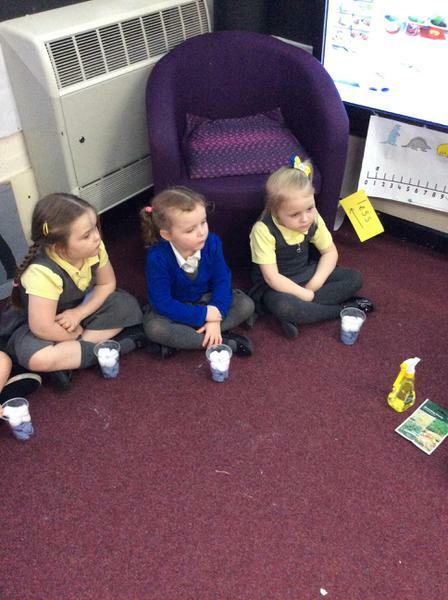 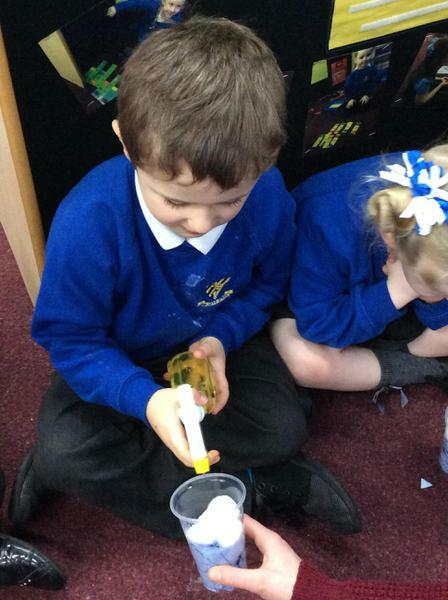 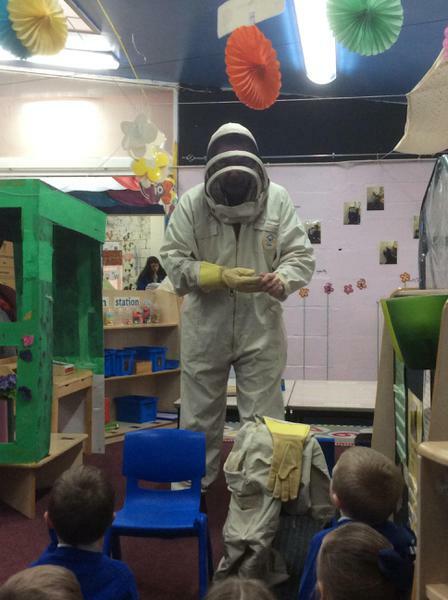 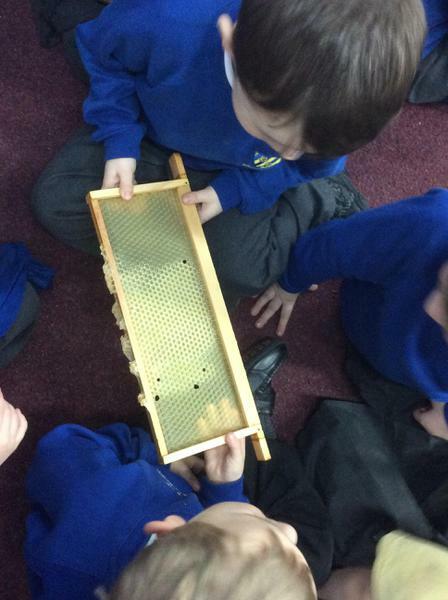 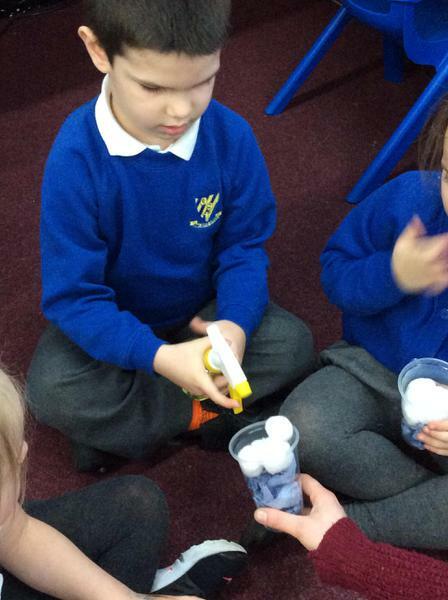 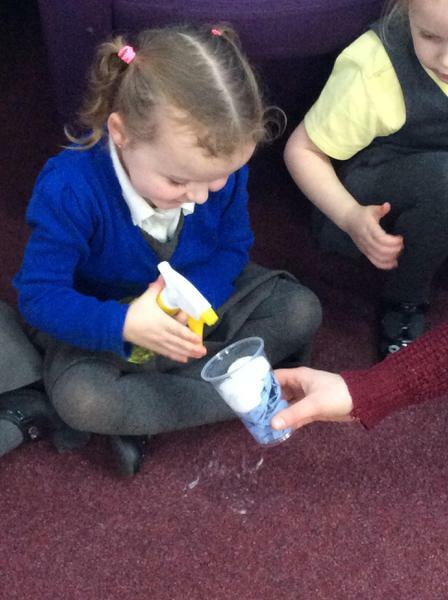 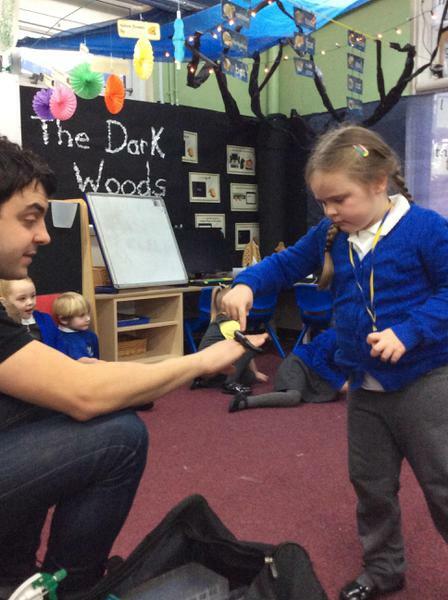 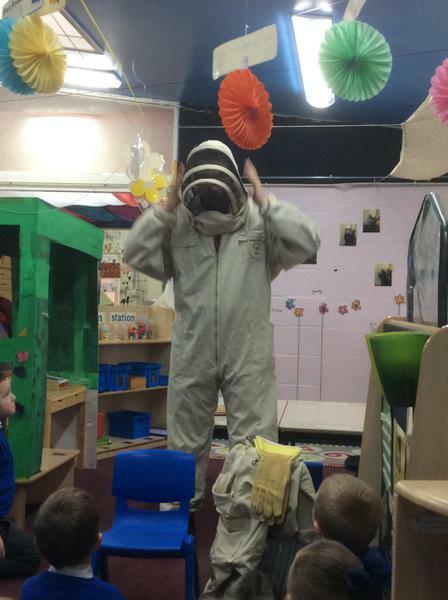 We learnt lots of interesting facts about bees! 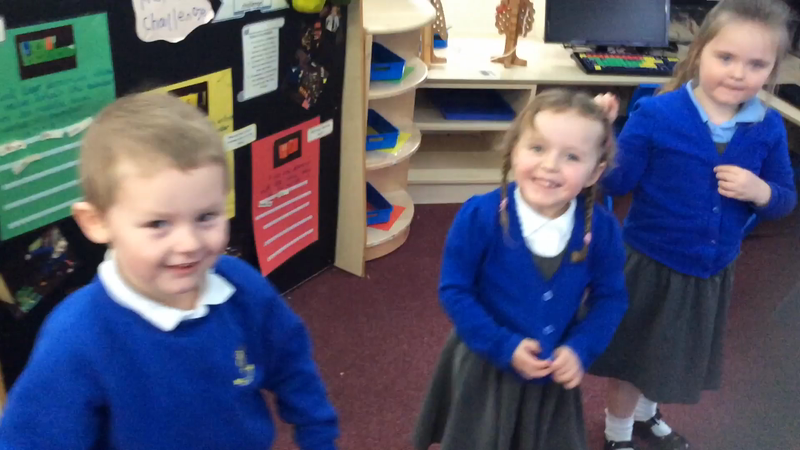 Fun song for children! 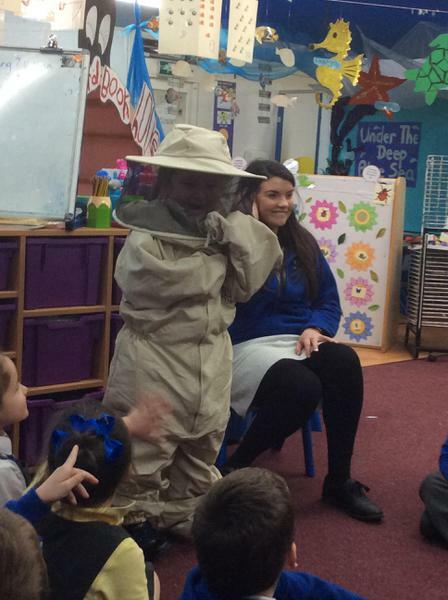 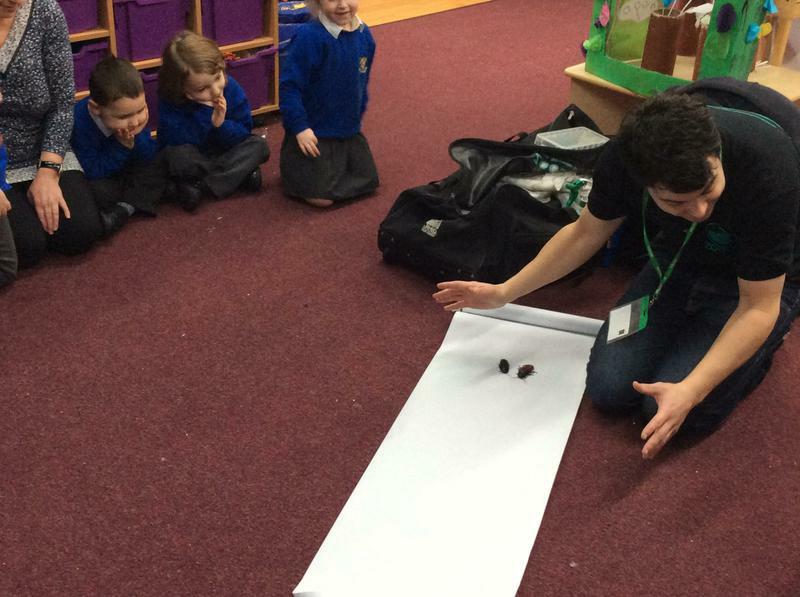 Do the waggle dance at home with Kerina and James! 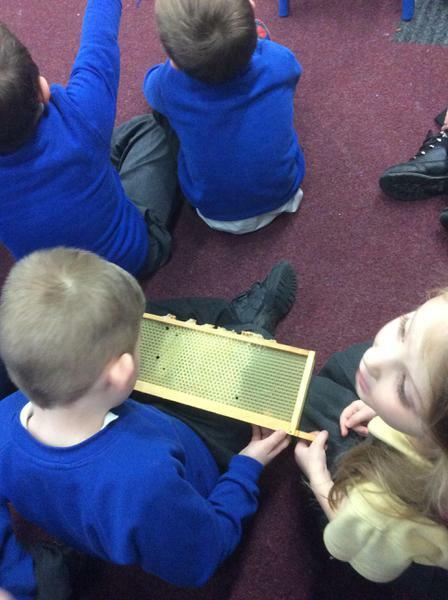 This fun song teaches all about the waggle dance, a method bees use to communicate!! 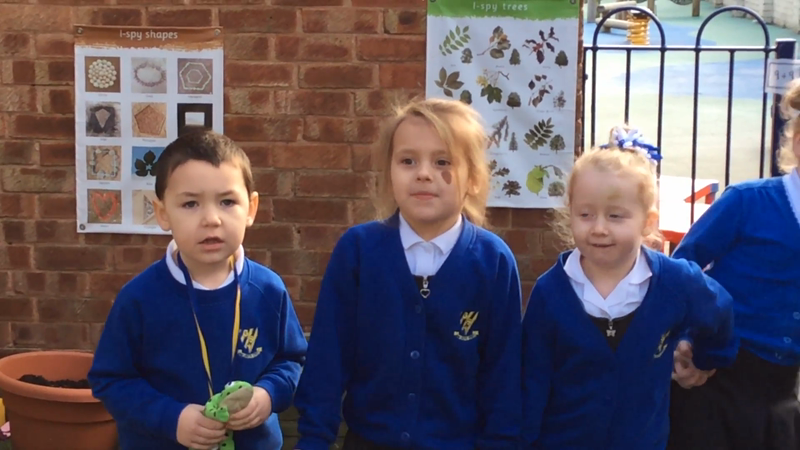 We loved singing our froggy rap to help us remember the lifecycle of a frog! 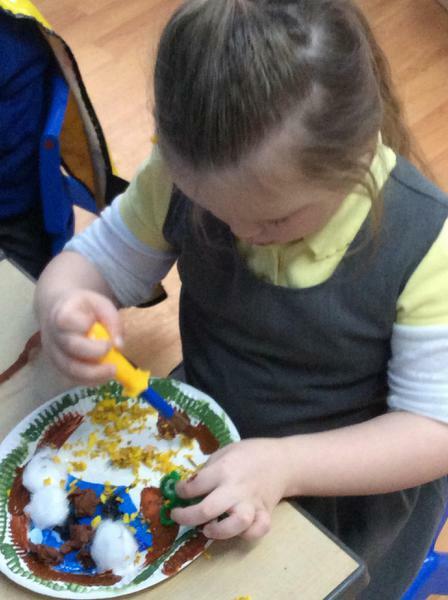 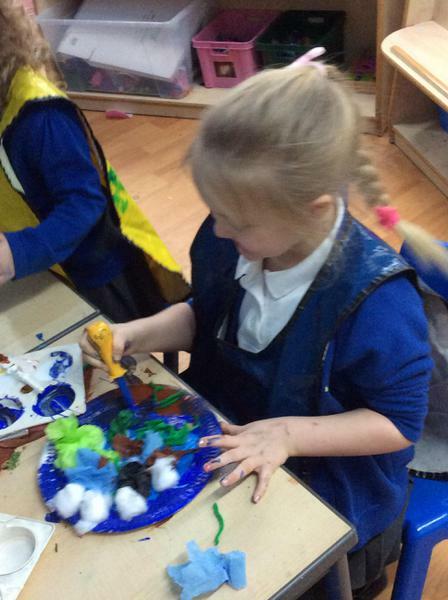 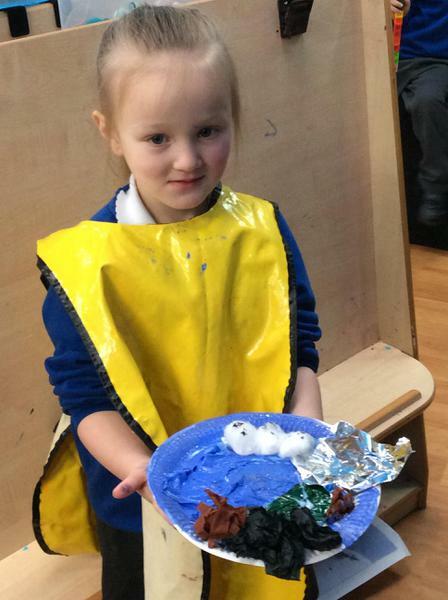 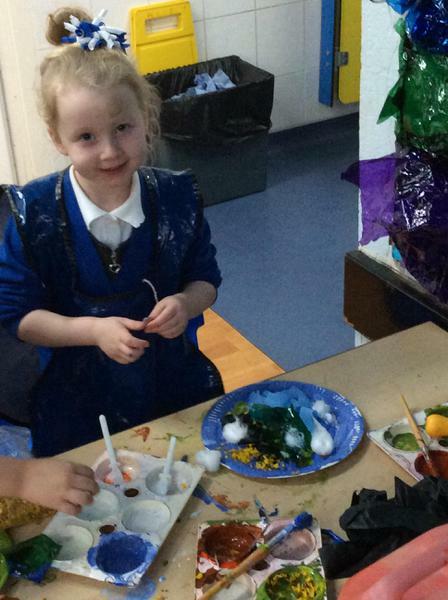 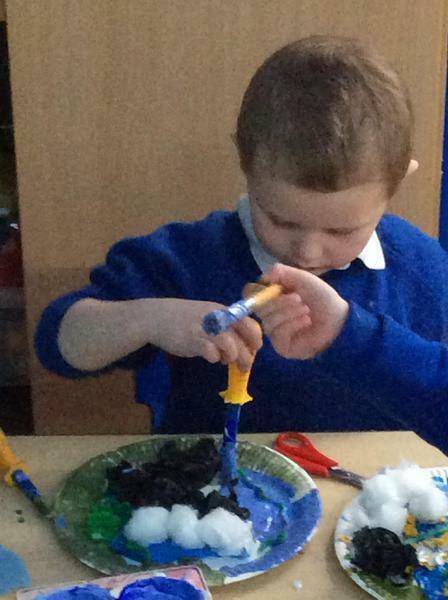 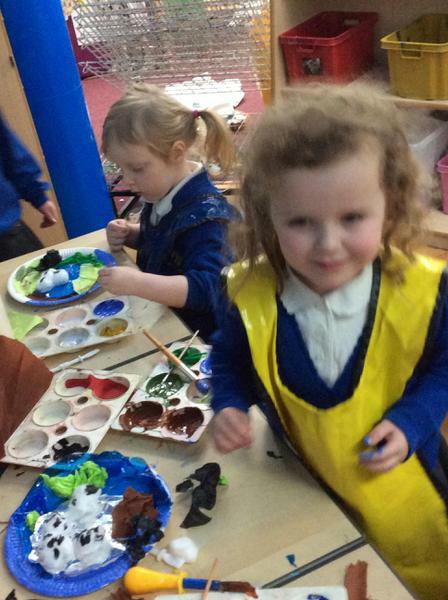 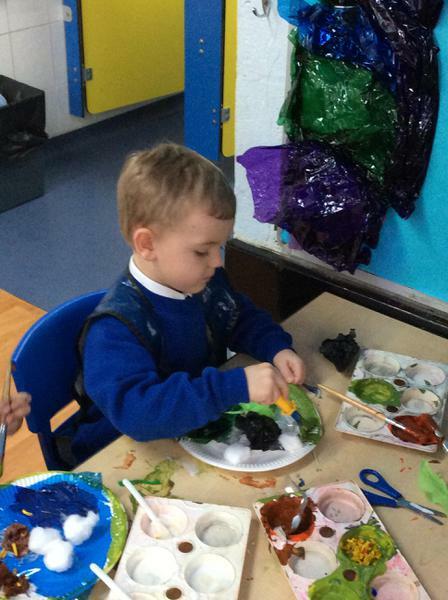 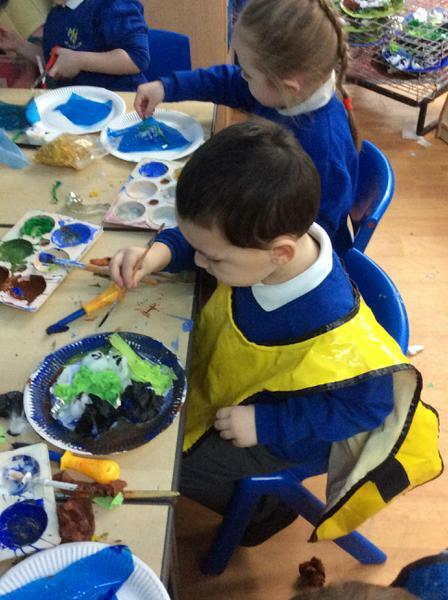 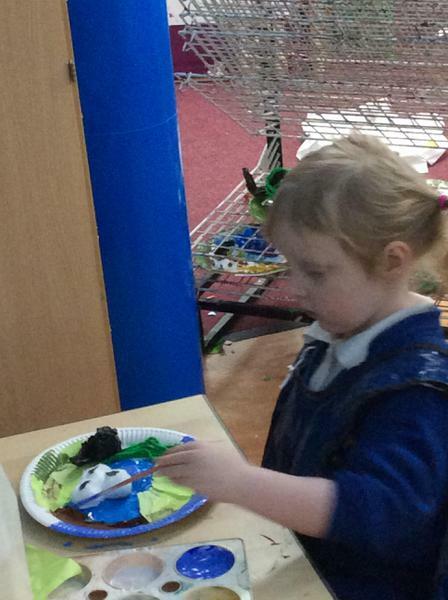 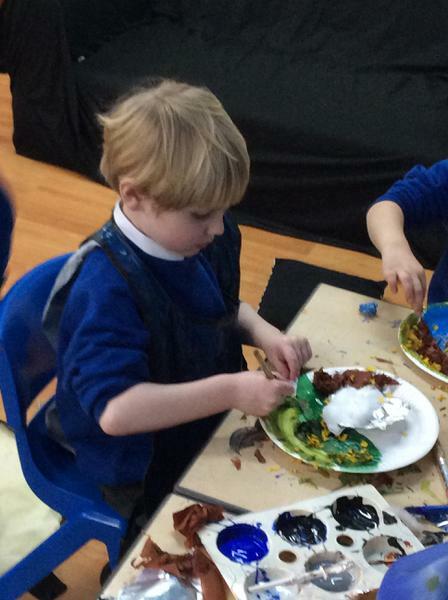 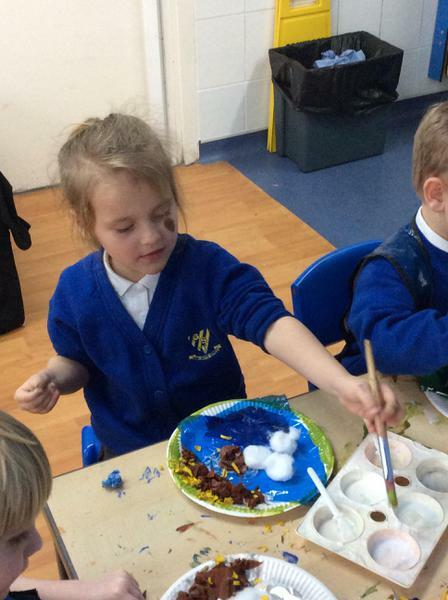 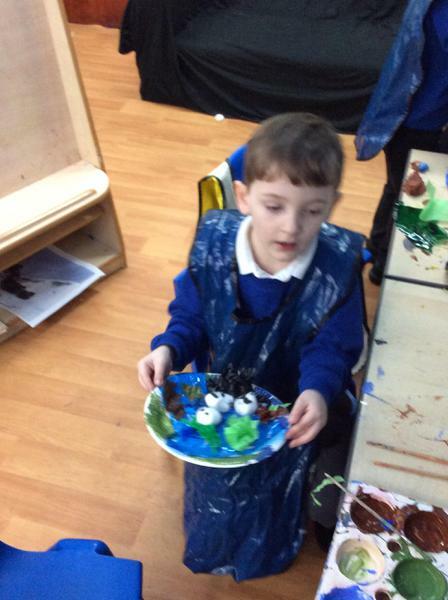 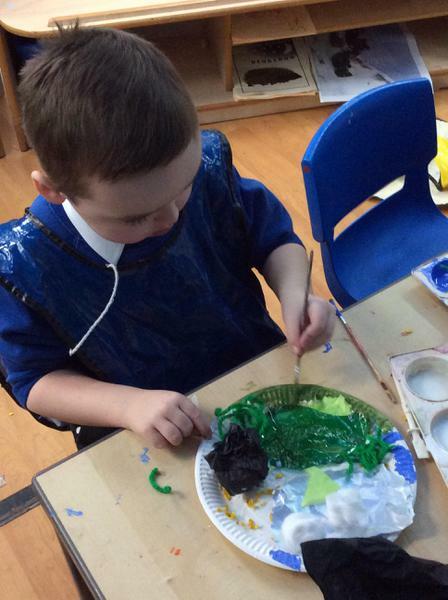 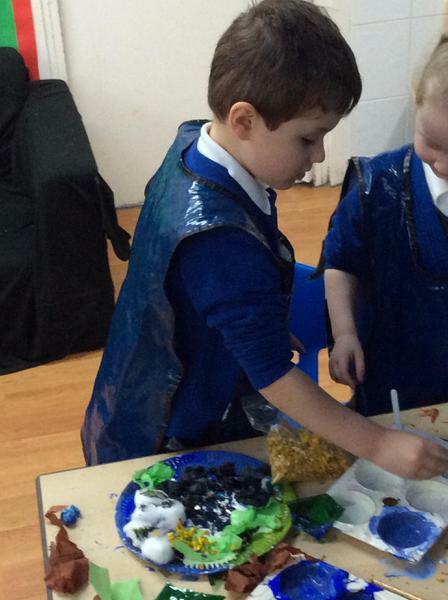 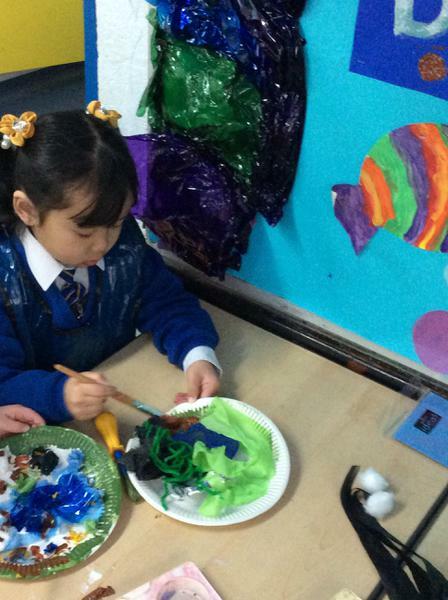 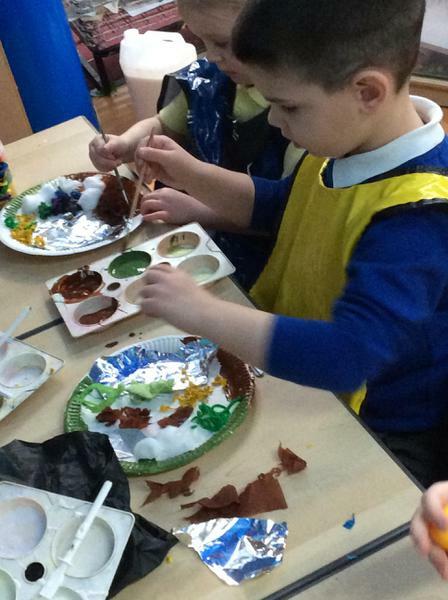 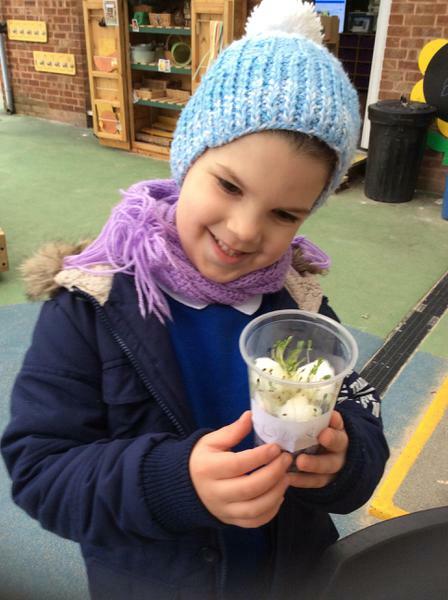 After reading non fiction texts about frogs and amphibians we created our own frog habitats! 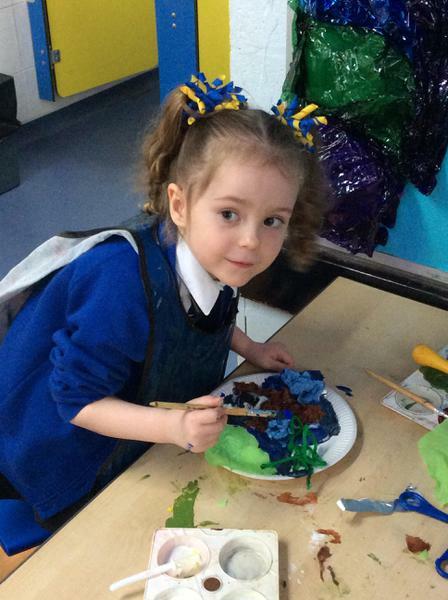 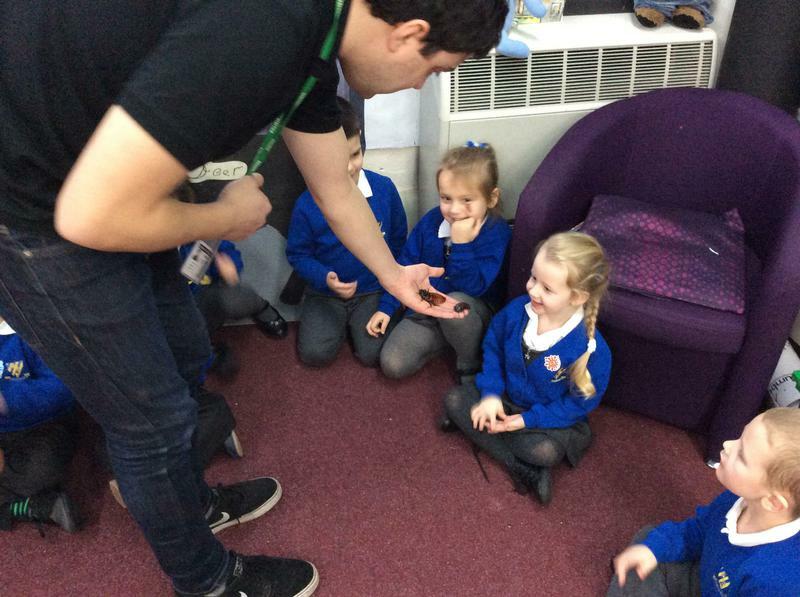 Listen to our froggy facts! 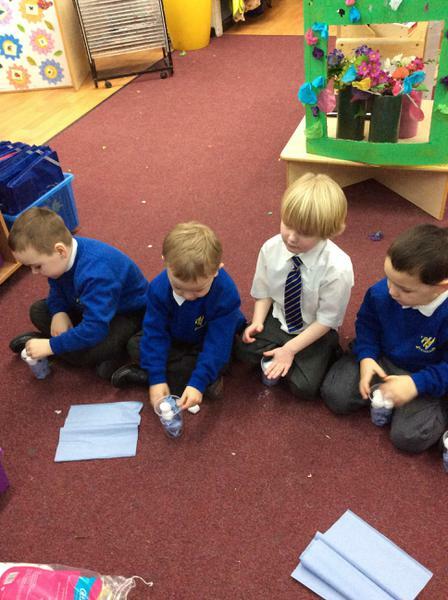 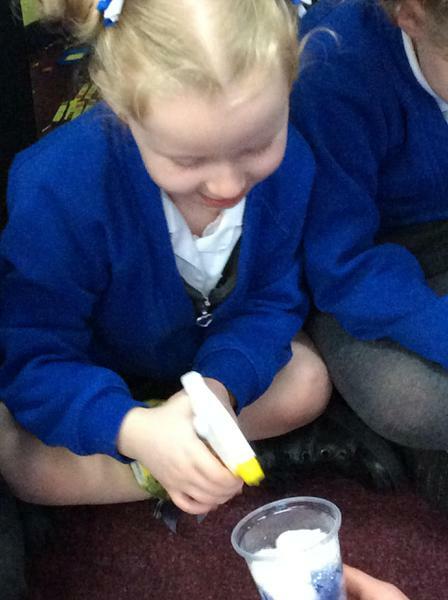 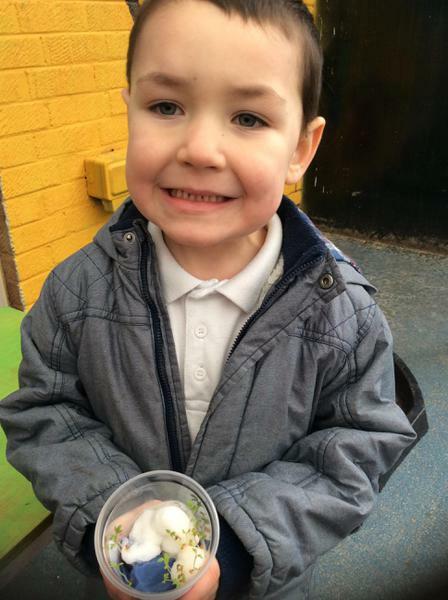 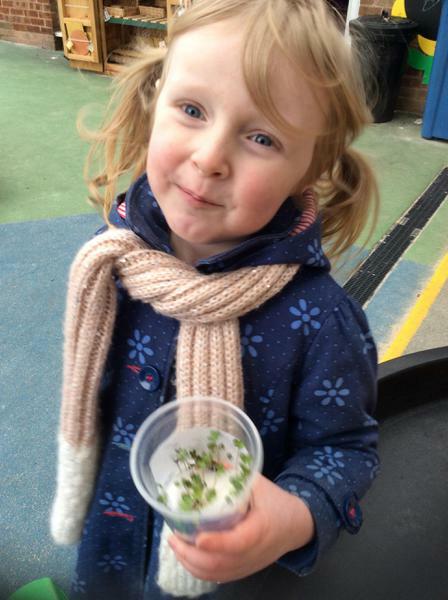 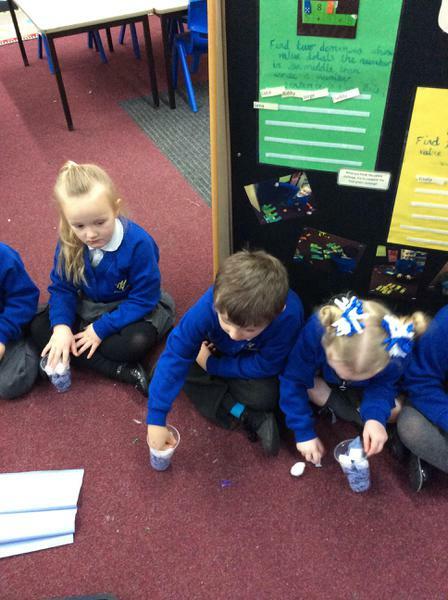 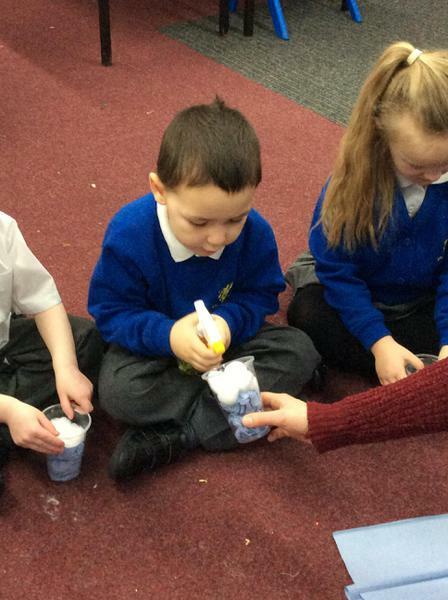 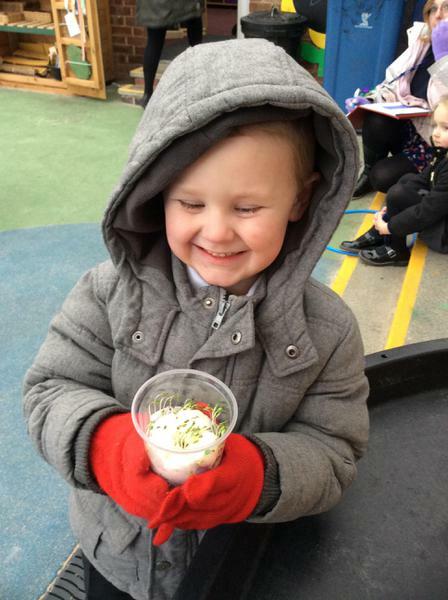 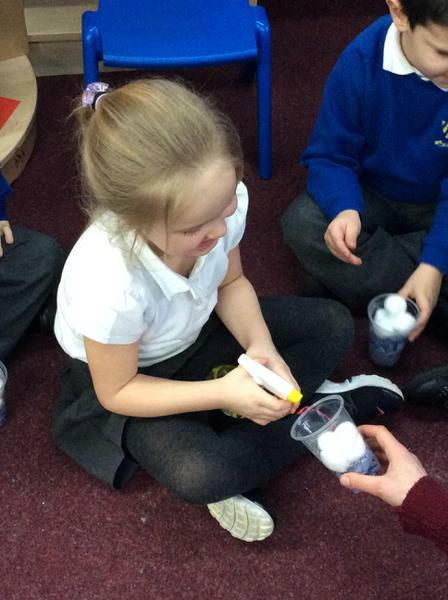 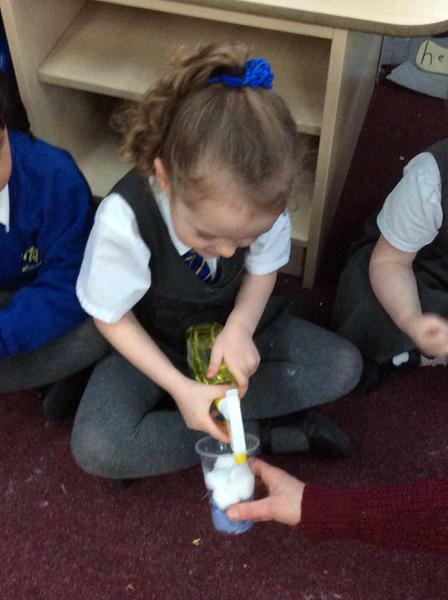 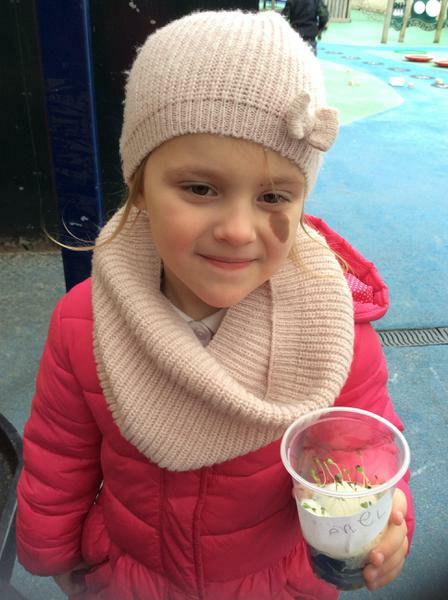 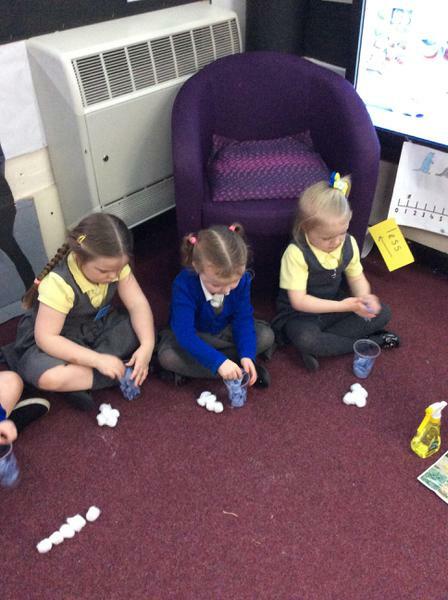 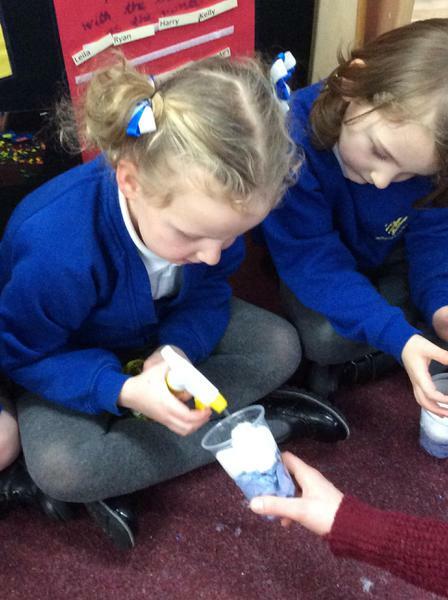 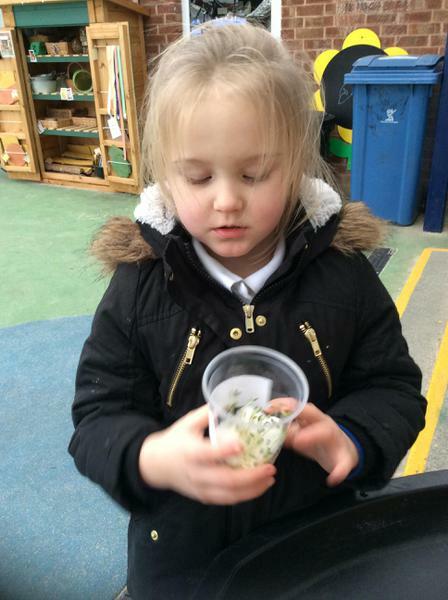 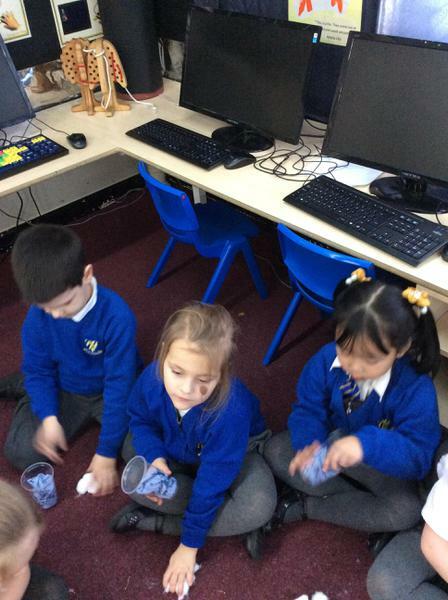 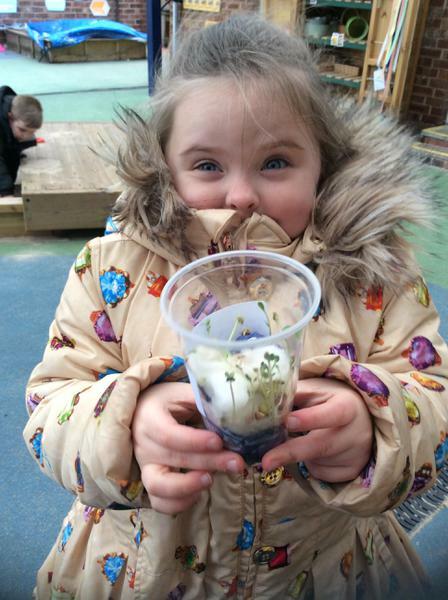 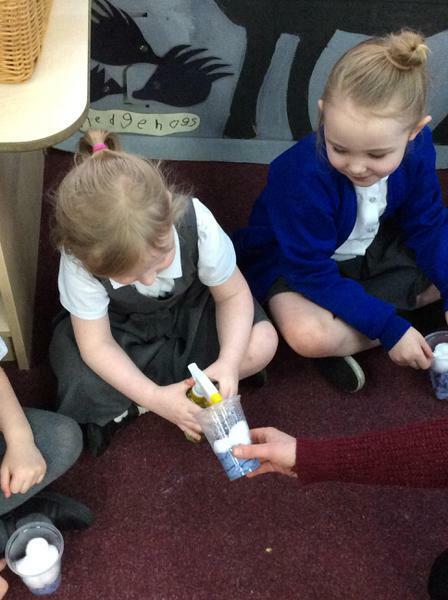 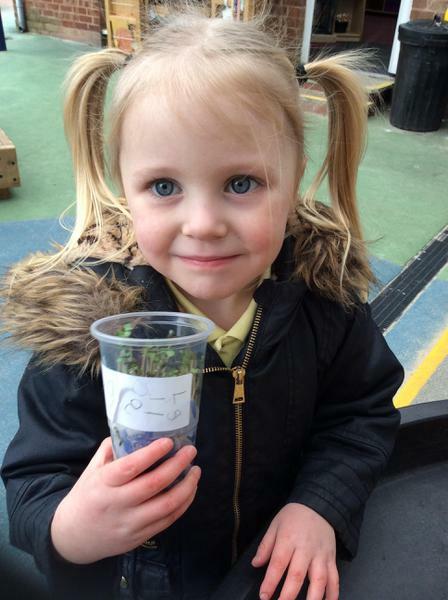 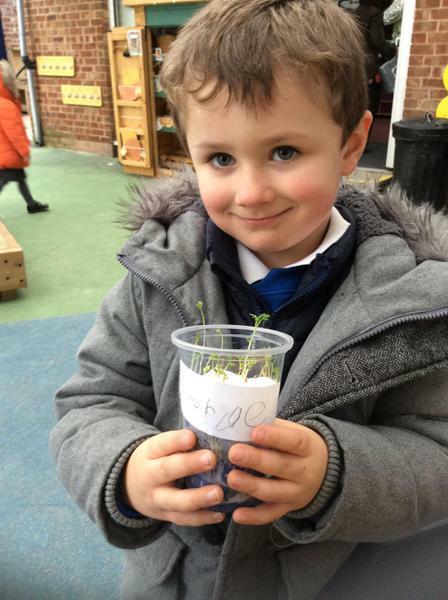 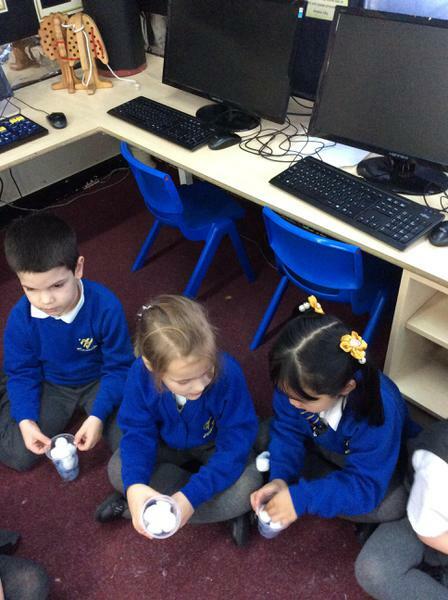 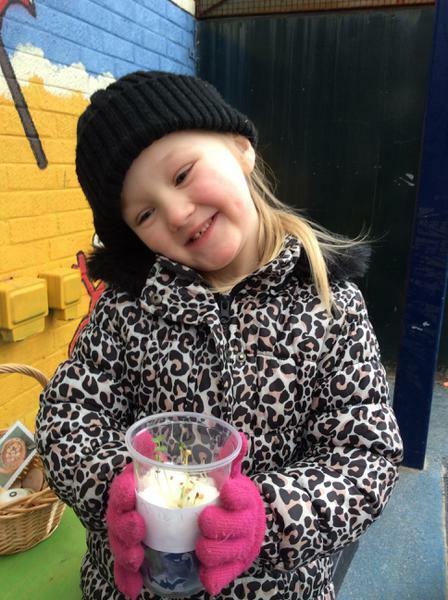 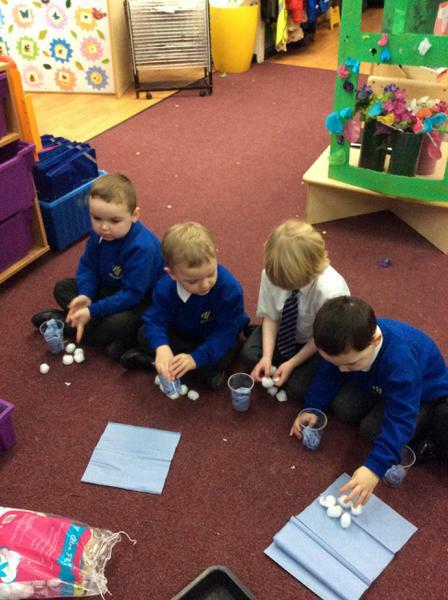 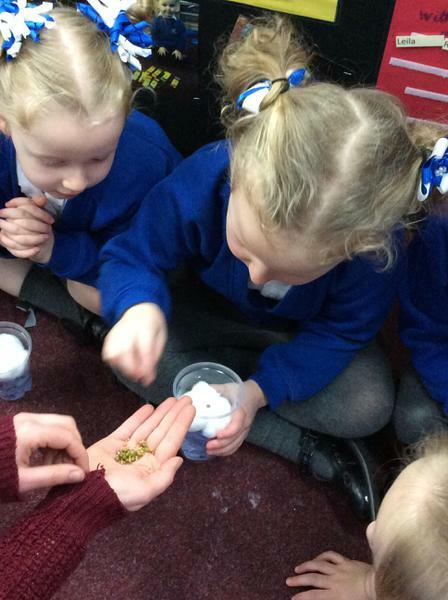 We planted cress seeds to see how plants grow. 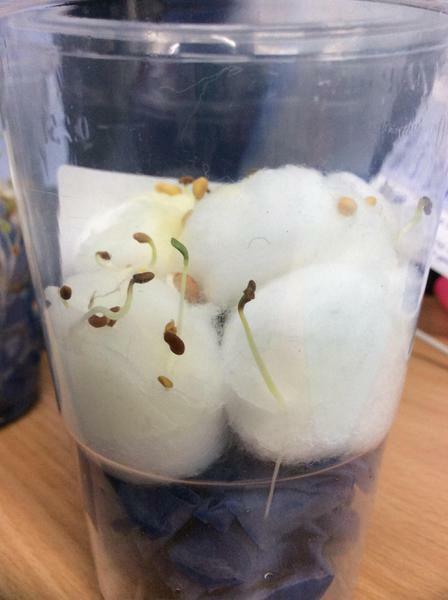 We watched the seeds sprout, roots grow down and shoots come up over the week. 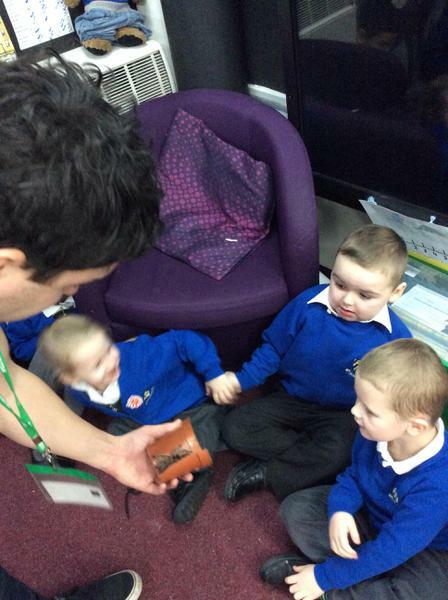 We kept a diary and drew pictures of what we could see each day. 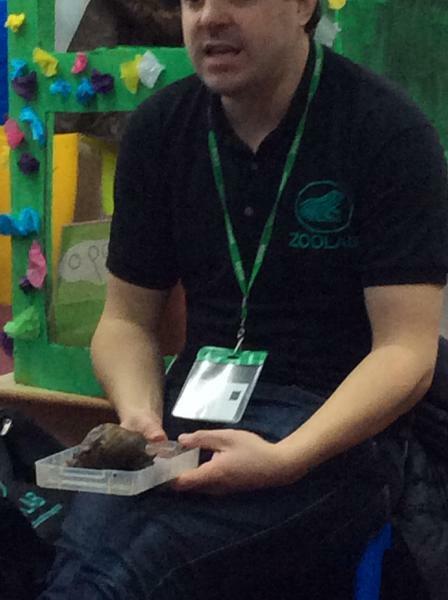 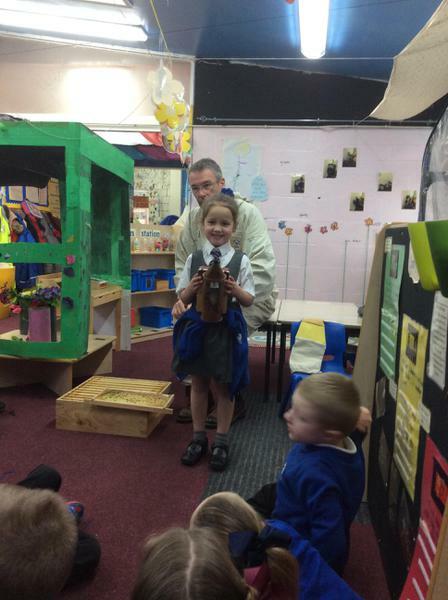 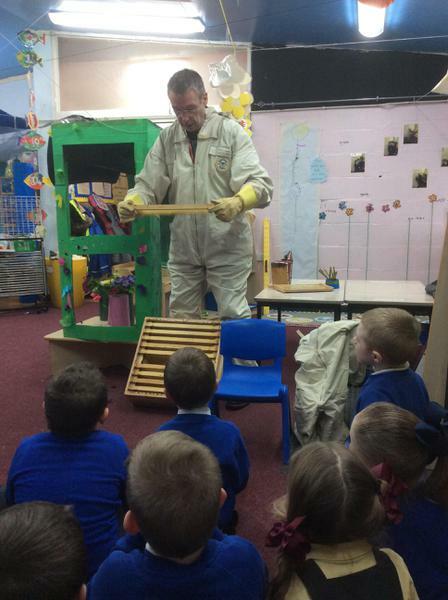 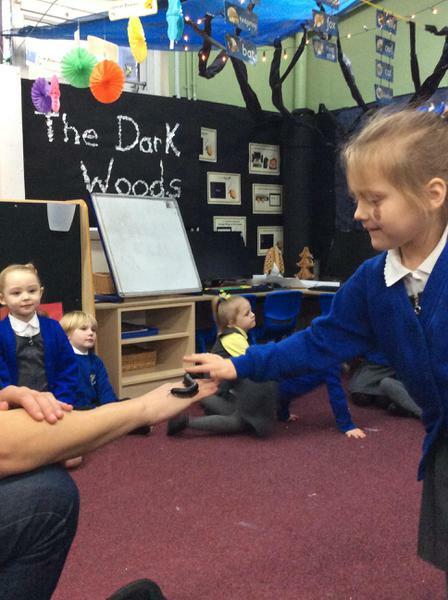 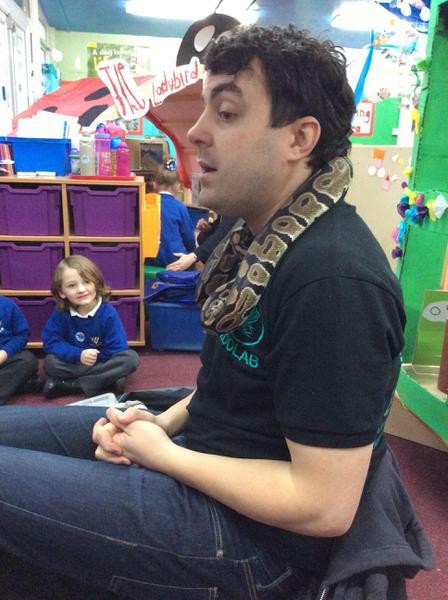 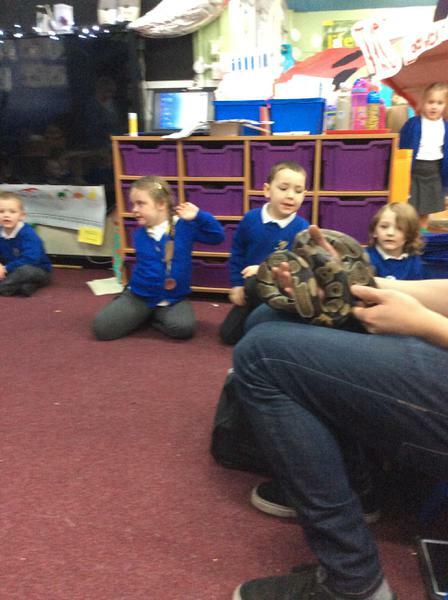 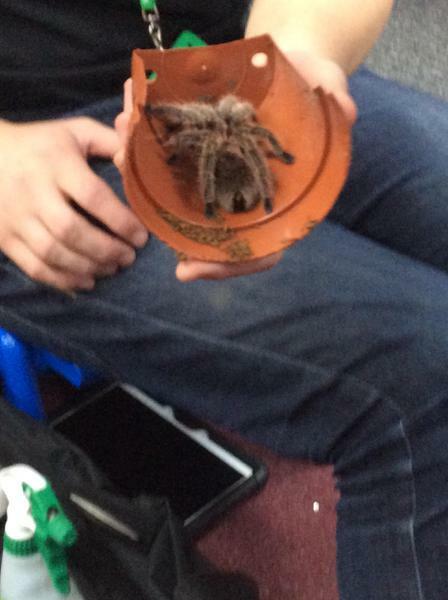 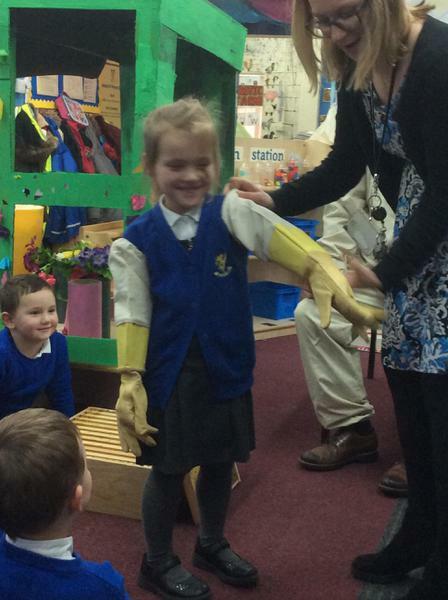 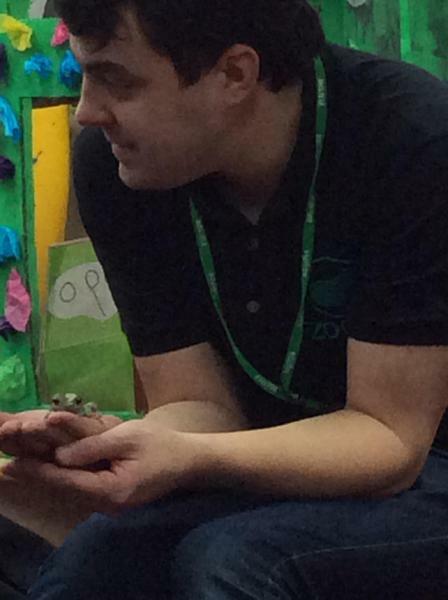 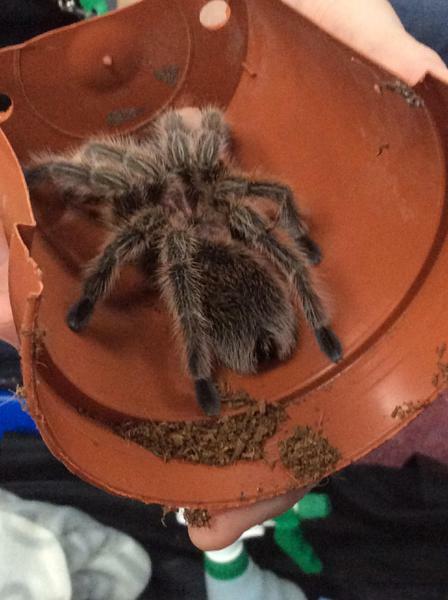 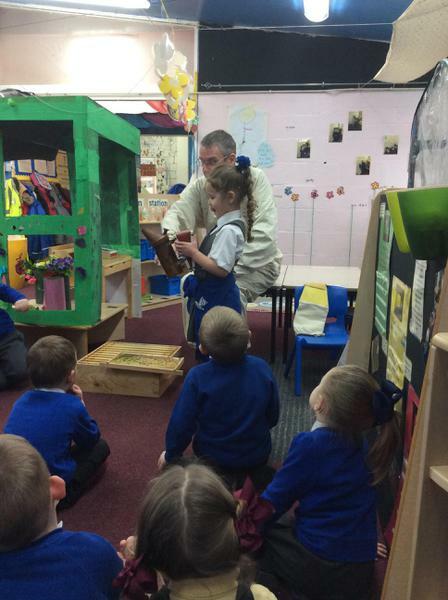 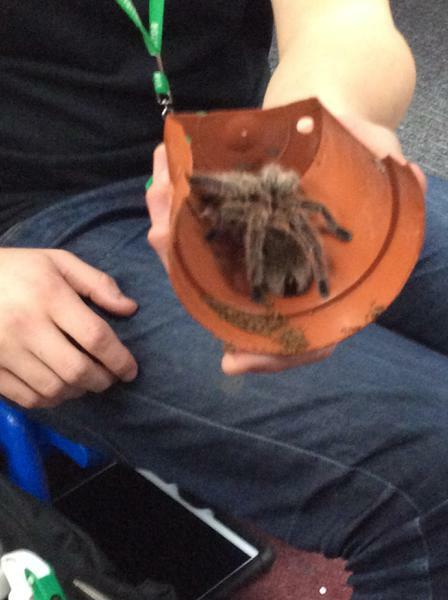 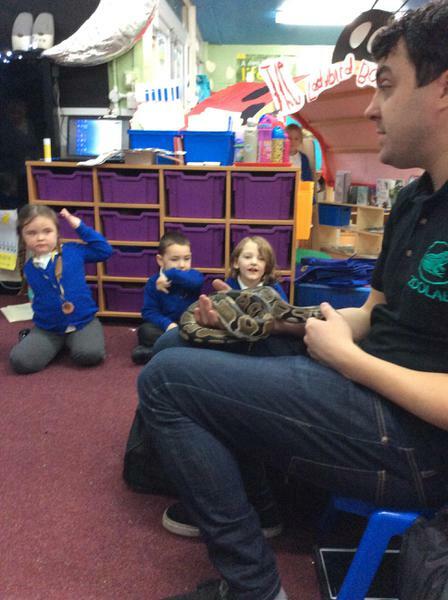 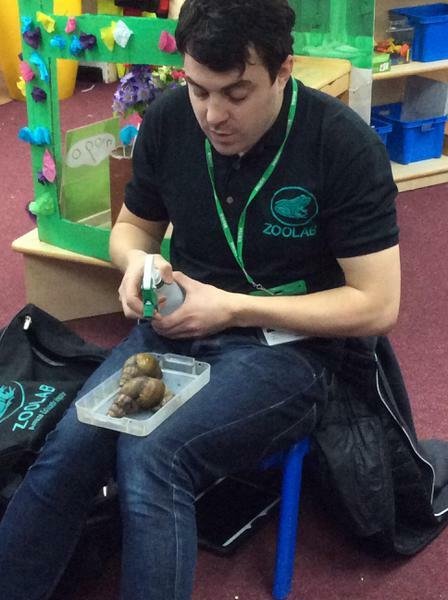 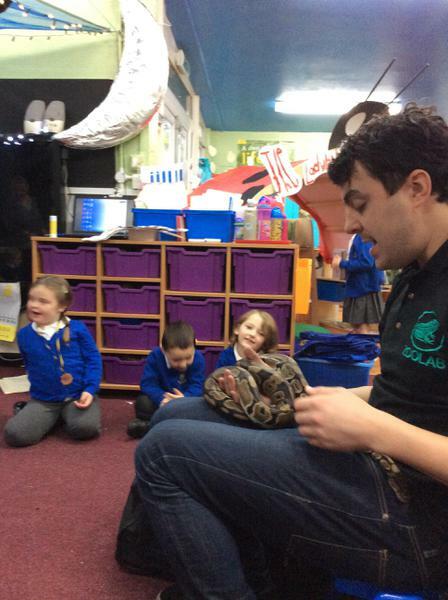 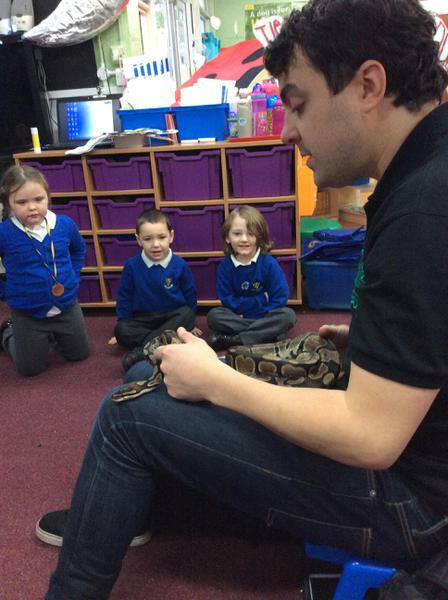 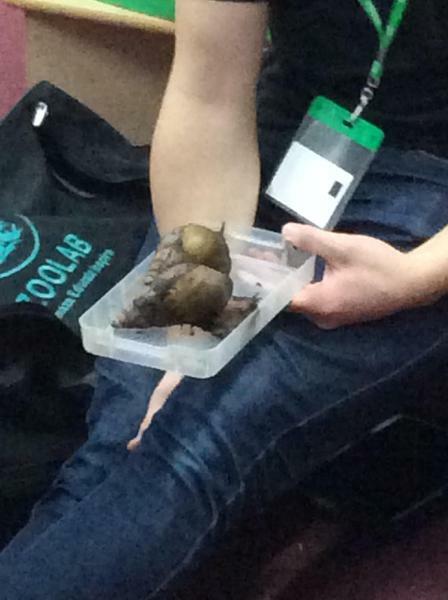 We all enjoyed a fantastic visit from Zoolab as our entry point to our topic. 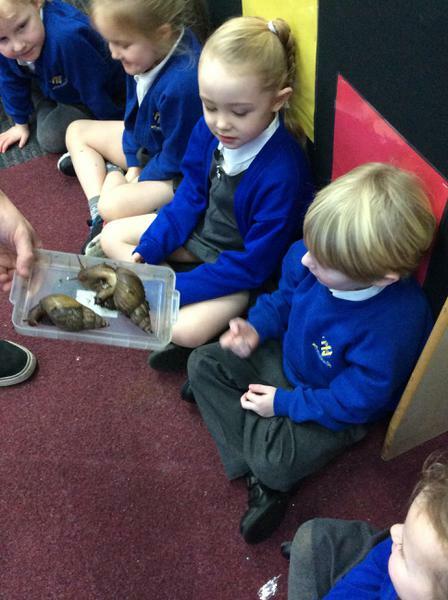 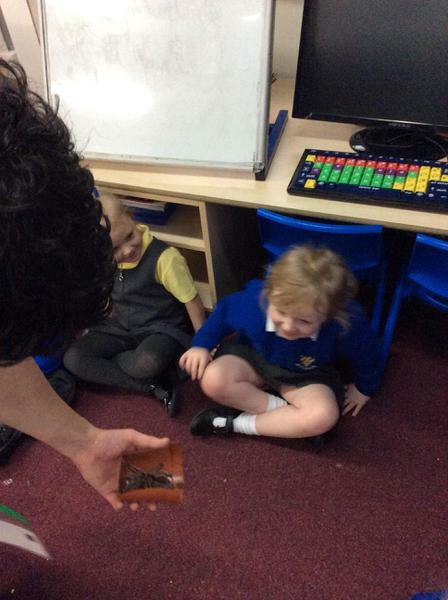 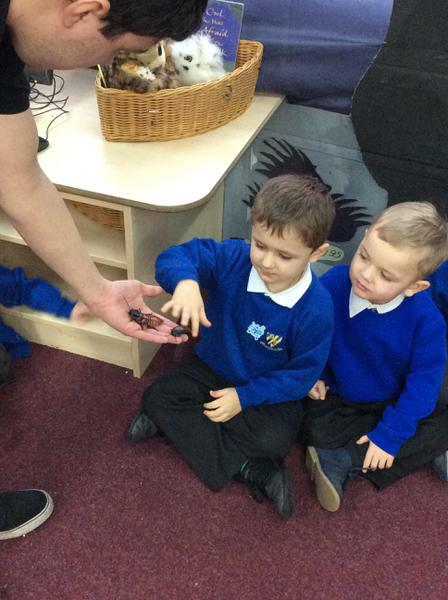 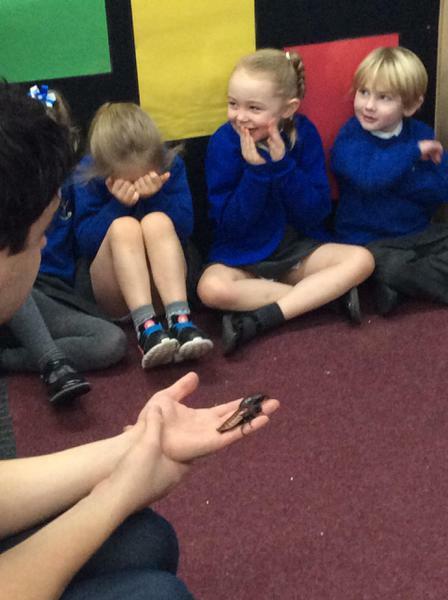 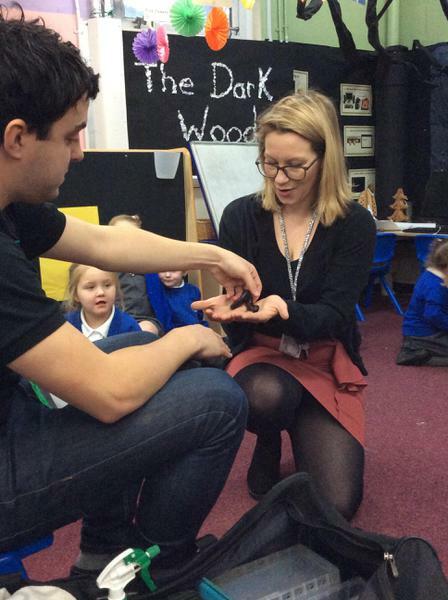 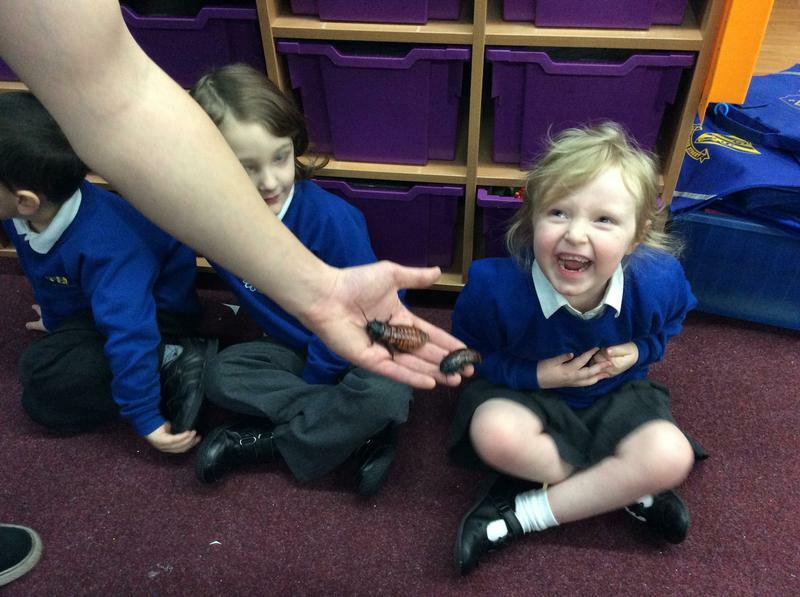 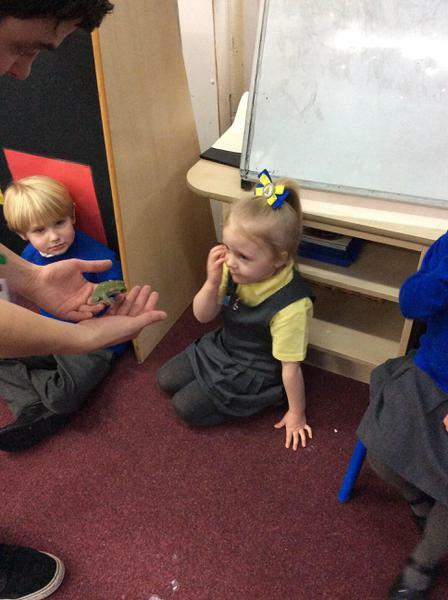 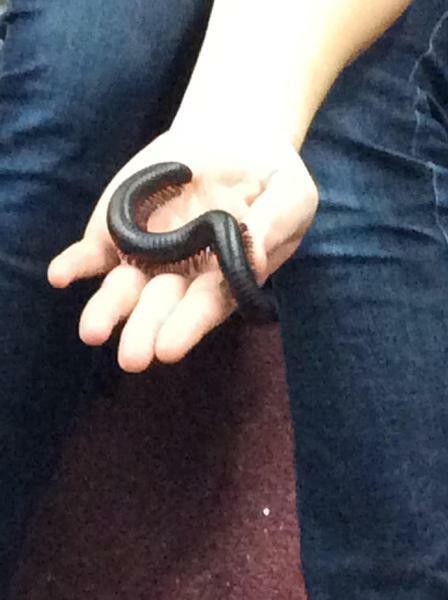 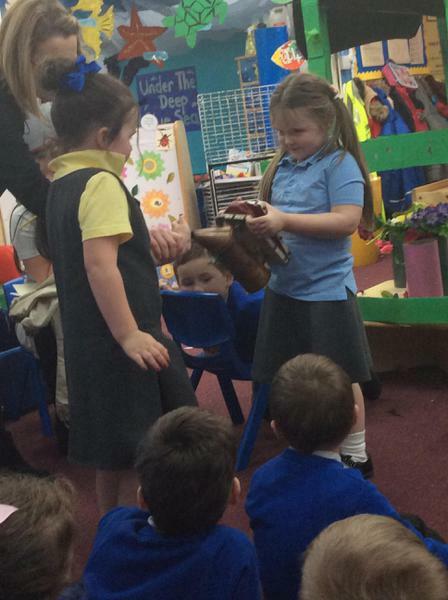 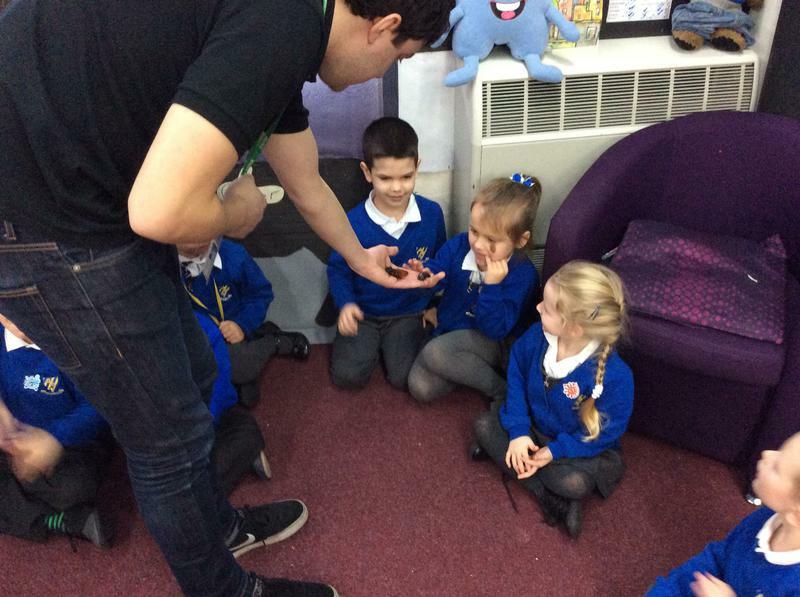 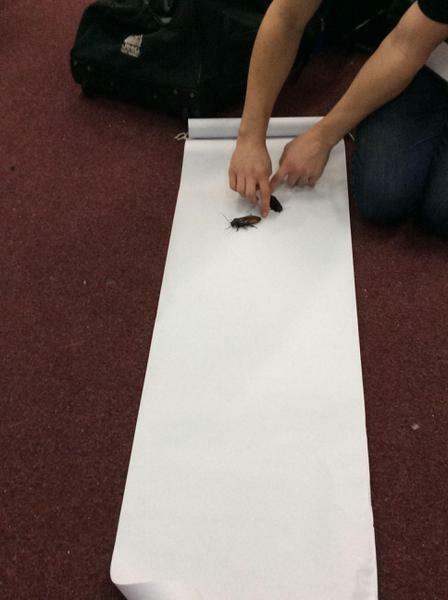 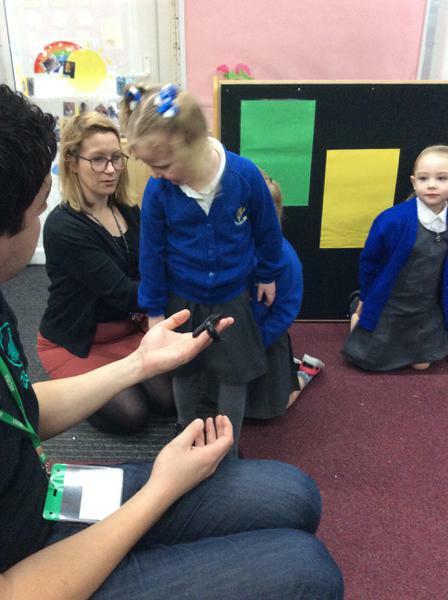 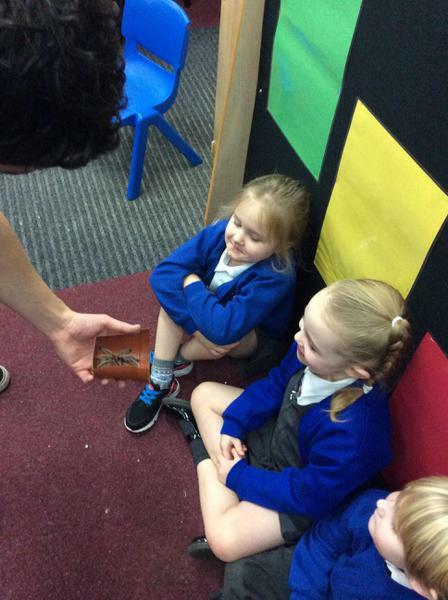 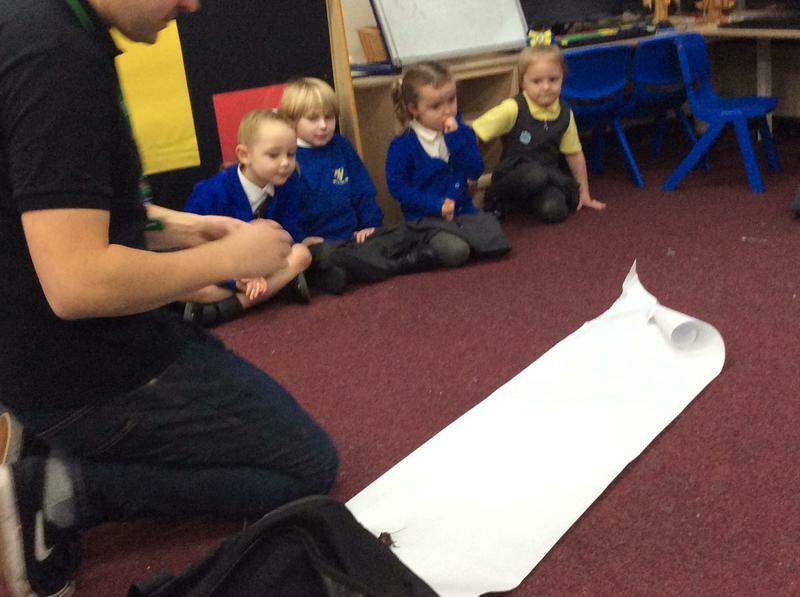 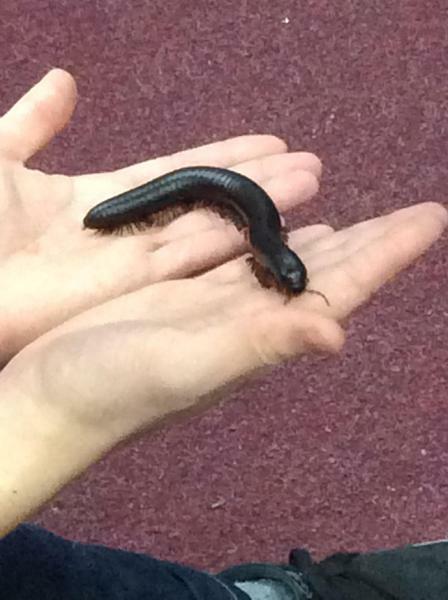 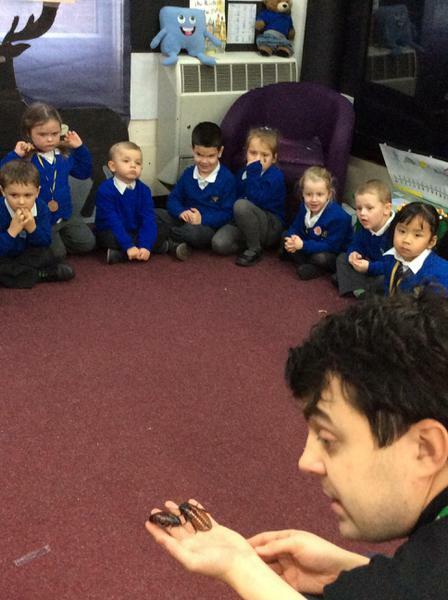 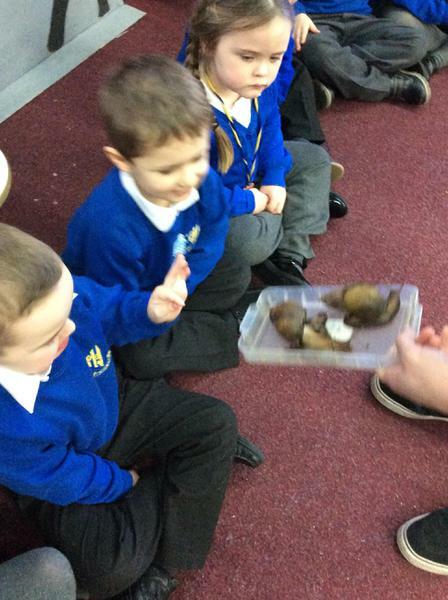 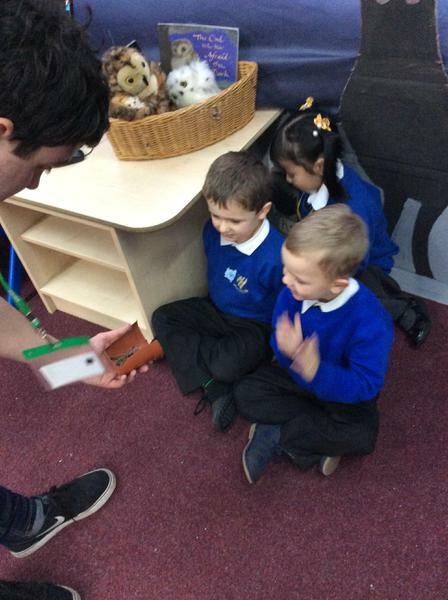 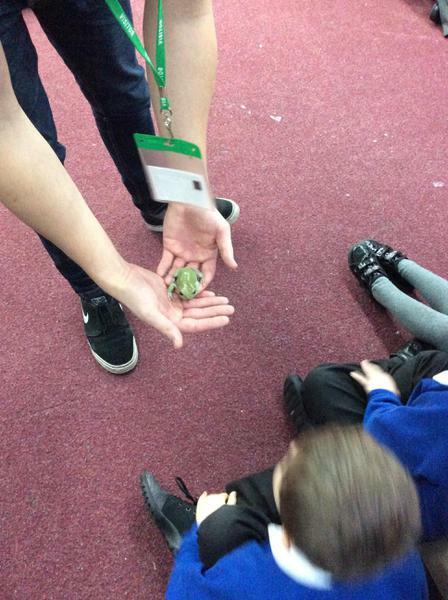 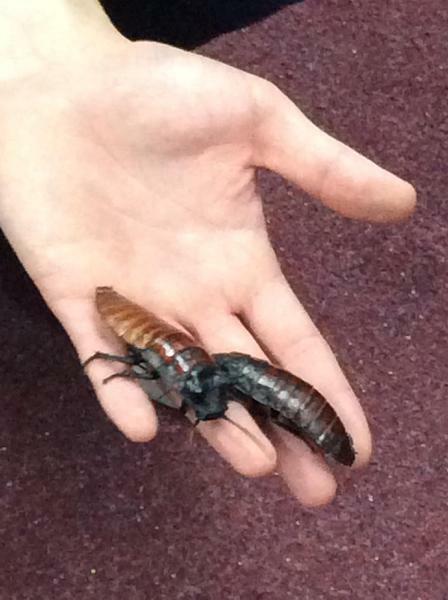 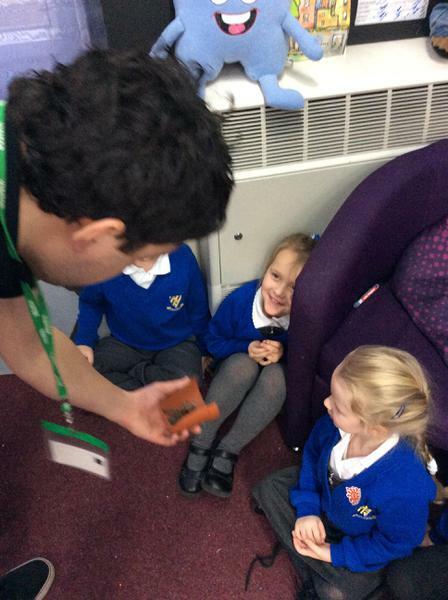 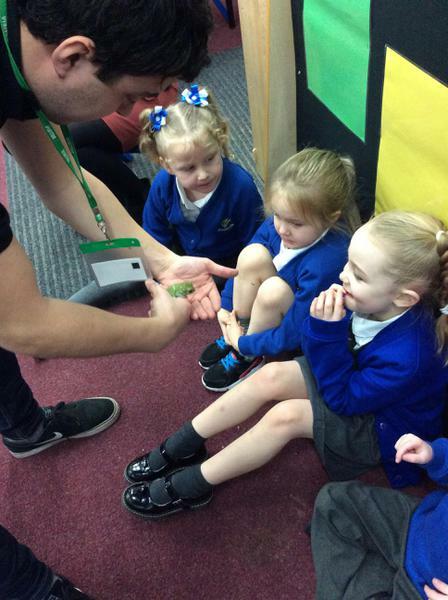 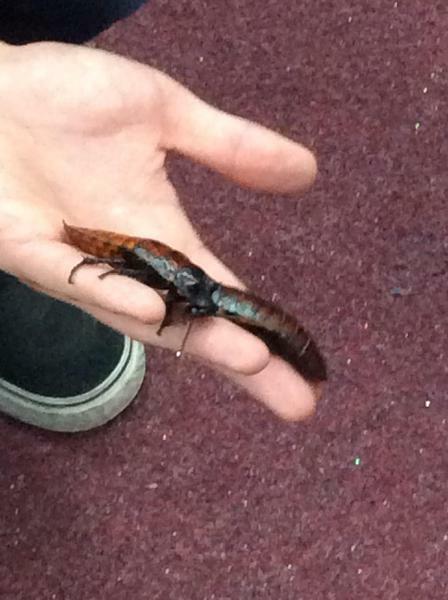 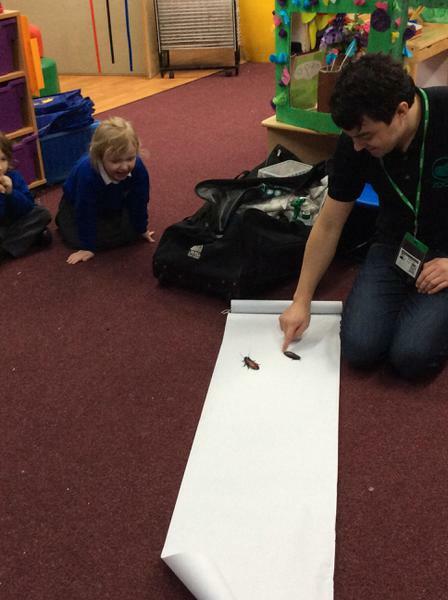 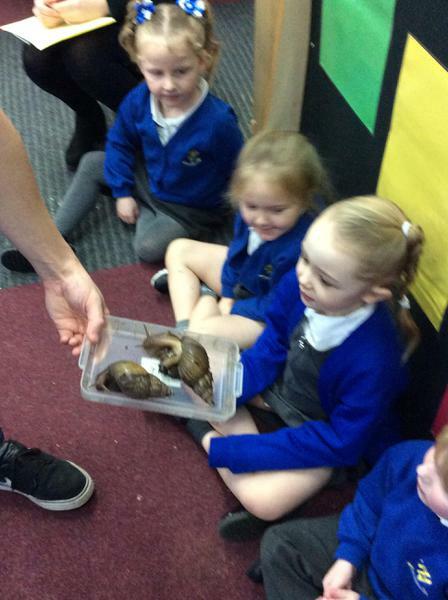 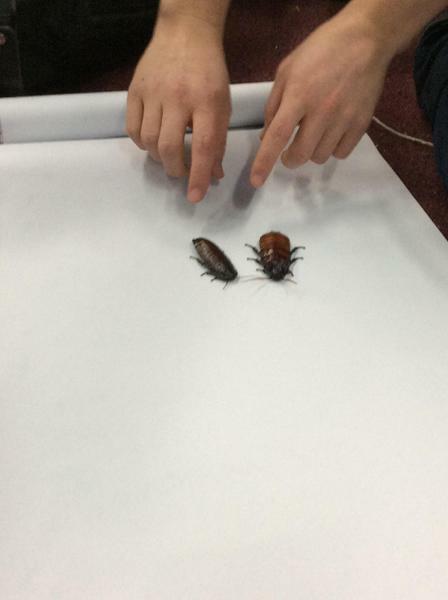 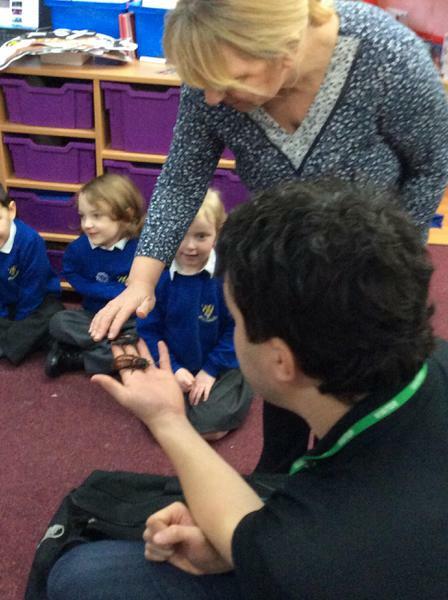 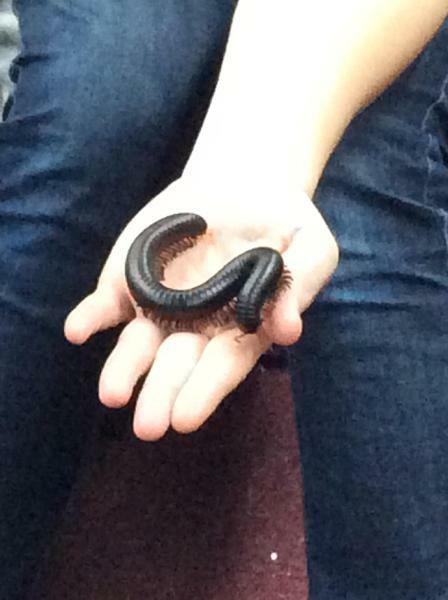 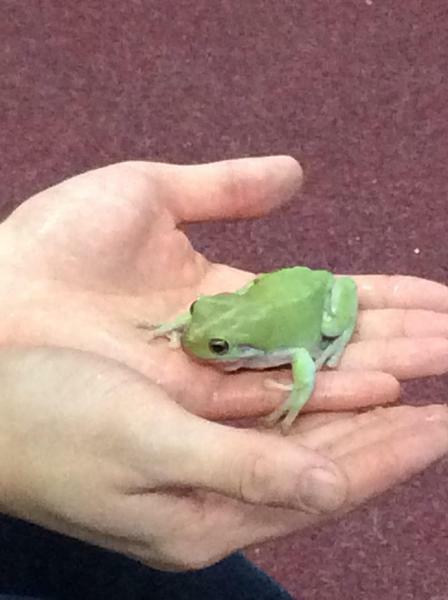 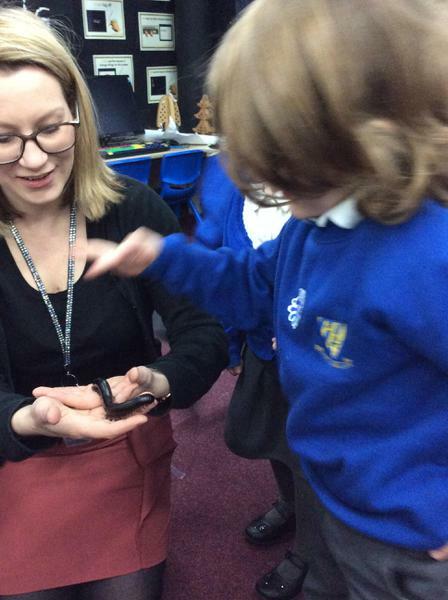 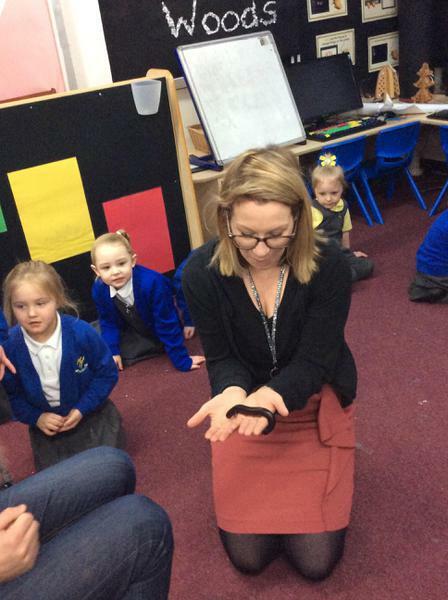 We saw a tree frog, a spider, a python, a millipede, giant African snails and giant cockroaches and were lucky enough to be able to touch some of them carefully!